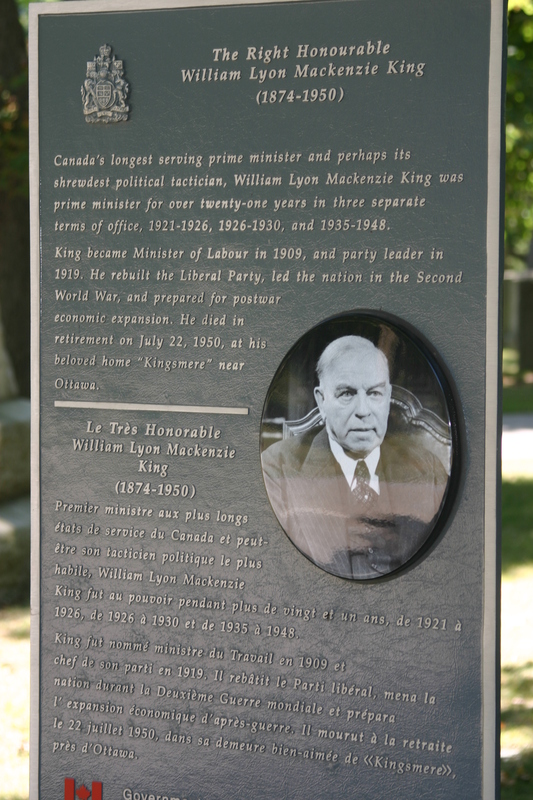 William Lyon Mackenzie King had a long political career. 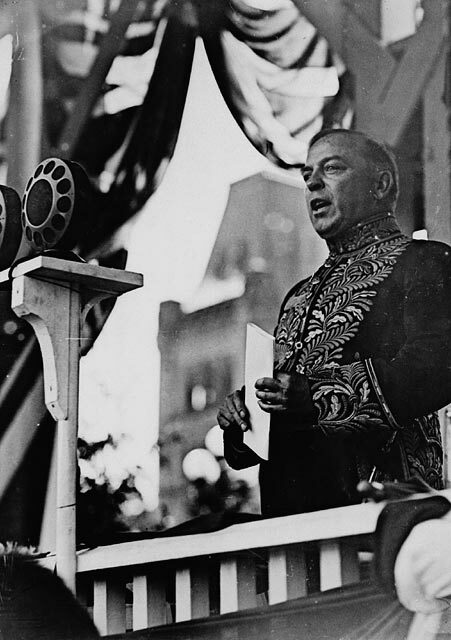 He was leader of the Liberal Party for 29 eventful years through the buoyant expansion of the 1920s, the depression of the 1930s, the shock of World War II, and then the post-war reconstruction, and for 21 of these years he was Canada’s prime minister. His decisions during this time contributed significantly to the shaping of Canada and to its development as an influential middle power in world affairs. During his lifetime his achievements were sometimes obscured by a style notable for its compromises. After his death his political career was sometimes overshadowed by the revelation of his unsuspected personal idiosyncrasies. King’s father, who had spent time in Berlin as a youth, met his future wife in Toronto when he was a university student there. Isabel Mackenzie, a daughter of William Lyon Mackenzie*, was born in the United States while he was in exile, and her early years were marked by poverty and insecurity. 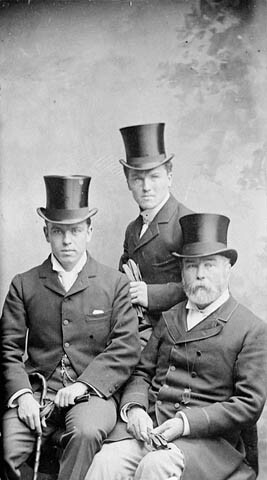 Matters did not greatly improve after the family returned to Toronto; Mackenzie lived as a gentleman but never earned enough money to sustain his lifestyle. For Isabel, marriage to John King, who went into law, held out some promise of financial security. 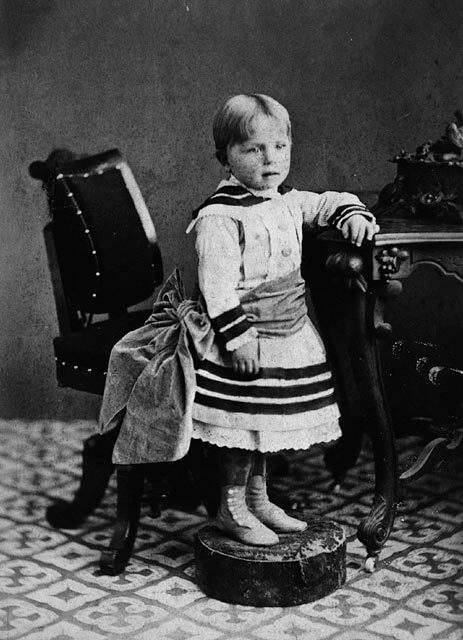 King, however, decided to give up his prospects in Toronto and to return to Berlin in 1869 to practise law and it was there that Willie, as he was called, spent his childhood. Willie and his two sisters and a brother had happy memories of their early years. Woodside, the home the family rented from 1886 on the outskirts of Berlin, was an attractive brick house surrounded by a large garden. As a child Willie was healthy and active, with a self-assurance that sometimes got him into trouble and a ready smile, which often minimized his punishments. He was a good student, active in debates and sports, popular among his peers, and trusted by his elders. His family was close-knit and in later years King looked back with nostalgia to memories of family games and hymn singing with his mother at the piano. These years were less idyllic for his parents, whose serious financial problems would plague them for the rest of their lives. John King was not a success as a lawyer. He lacked the aggressiveness to build up his practice, the conflicts and scandals of one of his uncles (a local newspaperman) negatively affected the family, and the German community in Berlin patronized German-speaking lawyers. His income was not enough to pay for the servants and keep up appearances, and the family was soon in debt. He became withdrawn and Isabel became frustrated and shrewish. 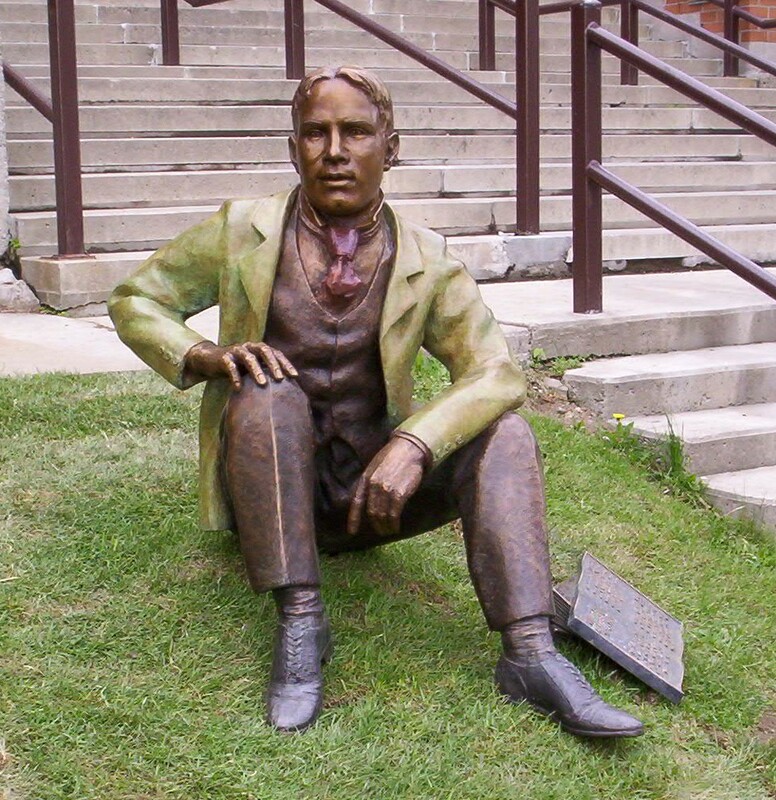 A move back to Toronto in 1893, after Willie had started university, changed little. 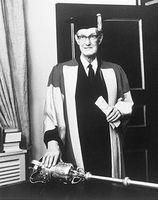 A lectureship at the Law School at Osgoode Hall brought in some money but John King failed to get a professorship and his practice produced little income. Willie knew nothing of this situation as a child, but he was marked by the experience. He absorbed his parents’ social values and came to be embarrassed by their shabby gentility; he learned as well to sense the moods of his parents and to avoid confrontation. More significantly, his mother gradually came to think of him as the person who might be able to give her the status and security her husband could never provide. 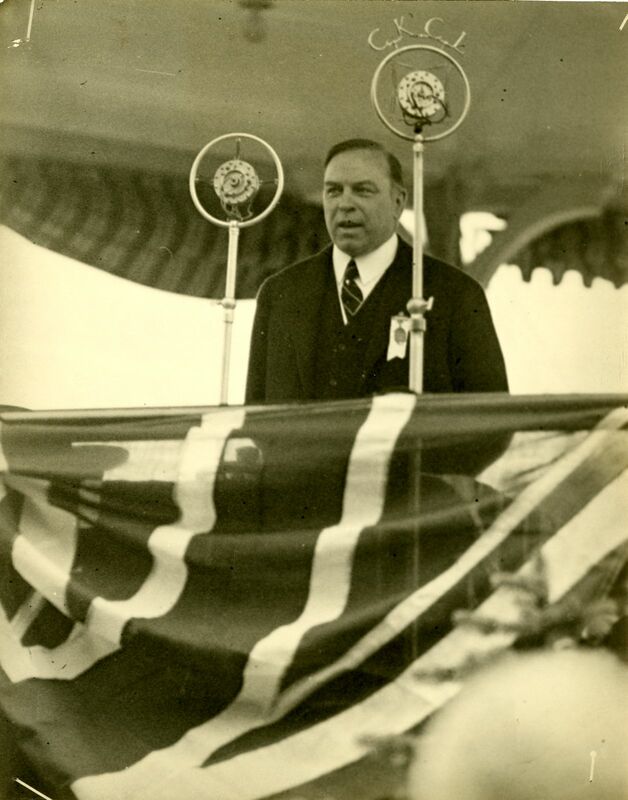 It was a burden from which the young Mackenzie King would not be able to escape. 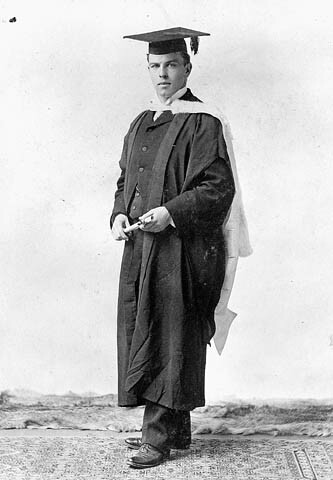 King enrolled at the University of Toronto in 1891, taking the honours program in political science. A disciplined and well-organized student with the advantage of a good memory, he graduated with first-class honours, standing second in his class. He was not an academic grinder, however, and found time for sports, contributed to the Varsity, and spent many hours discussing the purpose of life and its moral obligations with other serious-minded students. 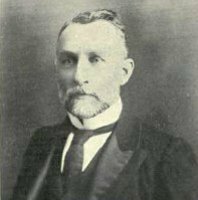 He stood out among his classmates, was elected president of his class in his first year, and in 1895 was a leader of a student strike to protest the arbitrary dismissal of a popular professor, William Dale*. He was still known as Willie to his family but at university he adopted W. L. Mackenzie King as his signature and was called Mackenzie by other students. Though the name suggests a more formal self-image, it also reflects King’s closer identification with his grandfather, who even then he saw as an early champion of responsible government and political liberty. In later years a few close friends in England, including John Buchan*, called him Rex, but there would be none of this easy familiarity with his colleagues or acquaintances in Canada. As a young man King was a practising Presbyterian and, indeed, he would attend church regularly throughout his life. His correspondence and diary from his student years refer constantly to spiritual values and his personal dedication to Christian duty. If his religious views seemed sentimental and sometimes self-justifying, they were nonetheless influential. He might have been priggish but his faith also led to good works. In addition to his student activities, he participated in a men’s reading club in a working class district in Toronto and he regularly visited patients at the Hospital for Sick Children. He even made a few attempts to reform prostitutes, although on these occasions his Christian motives were likely supplemented by the prurience of a repressed young man. More noteworthy was the influence on him of Arnold Toynbee’s work on the Industrial Revolution, which led King to the conclusion that industrialism was the pre-eminent challenge to Christianity at the end of the 19th century. This theory attracted him to social reform but not to socialism. He saw no distinction between his religious faith and a liberal commitment to build a better society on earth, but his emphasis was on conversion, not coercion. King’s sense of Christian obligation was combined with a strong personal ambition. He nonetheless remained undecided about what profession to pursue. His father encouraged him to become a lawyer and after completing his ba at Toronto in 1895, he did take a one-year llb there. He was not interested in practising law, however. 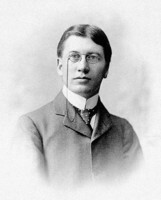 He talked of a possible career in the church or in politics, and between 1895 and 1897 he wrote for a number of Toronto newspapers, but mas at Toronto and Harvard and fellowships in political economy at the University of Chicago and Harvard seemed more likely to lead to an academic future. After a summer stint as a journalist, writing articles for the Toronto Globe on local sweatshops, he began work at Harvard on a doctoral thesis on labour conditions in the clothing industry. This scholastic pattern was interrupted by a telegram in June 1900 from William Mulock, Canada’s postmaster general who was also responsible for the newly formed Department of Labour. 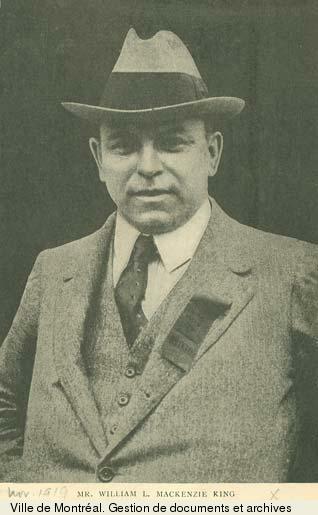 King had already drawn Mulock’s attention to the link between sweatshops and federal contracts for postbags and Mulock now offered him the editorship of the proposed Labour Gazette. King yielded to family pressure, to the attractions of financial security, and to what he saw as an opportunity for public service, and he accepted the job. He arrived in Ottawa in late July. 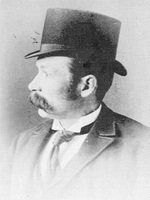 The following month Mulock also offered him the position of deputy minister of labour, which he formally took up on 15 September. He joined the department at a crucial time in the development of industrial relations. In the early years of the 20th century the conflict between labour and capital seemed irrepressible. Trade unions offered some possibility of collective action by workers but employers could frustrate organizers and break strikes by forcing their way across picket lines through the use of injunctions, the police, or the militia. Violence seemed to be the only effective response. King saw the Labour Gazette as an important contribution to labour relations. It would publish tables of strikes and lockouts, summaries of court decisions, and regional accounts of working conditions, wage settlements, and costs of living. 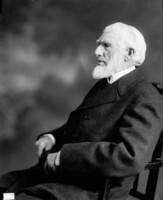 He knew the importance of earning a reputation for being non-partisan and with the help of his university friend Henry Albert Harper*, whom he appointed assistant editor, the Gazette soon became a respected reference, though as early as 1901 it came under attack from the Canadian Manufacturers’ Association. King’s ambitions did not stop with the Gazette. He was soon writing speeches for his minister that associated Mulock and the Liberal government of Sir Wilfrid Laurier* with a policy of fair wages for its employees; he also took the initiative to offer his services to employers and workers in the settlement of strikes and lockouts. King quickly showed a remarkable talent for conciliation. Exceptionally patient, he regularly won the confidence of leaders on both sides by listening carefully to their concerns, and he was remarkably sensitive to their unspoken hopes and fears. On many occasions he was able to devise compromises which both sides could accept. 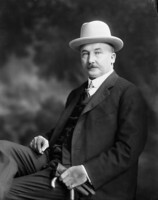 One dispute with important consequences was the coal strike in Lethbridge, Alta, in 1906 [see Frank Henry Sherman*], which threatened to leave westerners vulnerable to the rigours of a prairie winter. 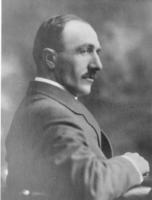 Sent west by his new minister, Rodolphe Lemieux*, King negotiated a settlement and then went on to draft legislation to establish formal procedures to defuse similar strikes. The Industrial Disputes Investigation Act of 1907 postponed any strikes in a public utility or a mine until a conciliation board had resolved the conflict or, failing that, had published a report on the facts and suggested terms for a settlement. The act did not prohibit a strike but its original feature was to enforce a cooling-off period and to expose the disputants to the pressure of public opinion to encourage a resolution. King’s success in conciliation led the government to call on him to troubleshoot a wide range of problems. 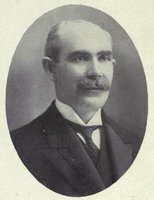 He served on royal commissions dealing with industrial conflicts in British Columbia (1903), at Bell Telephone in Toronto (1907), and in the cotton industry in Quebec (1908), and with the problem of compensation to Japanese and Chinese residents arising out of riots in Vancouver (1907-8). He even undertook a quasi-diplomatic mission to London, England, to convey the concerns of American president Theodore Roosevelt and the Canadian government on the issue of Japanese immigration to North America. These were major responsibilities for a civil servant, but King still found it frustrating not to be in a position to make political decisions. 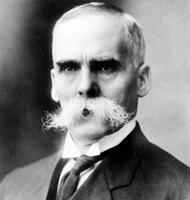 Consequently, on 21 Sept. 1908, he resigned as deputy minister to devote his talents to active politics. He was now 33 years of age. His career in the civil service had been remarkably successful but he had also found time to lead an active social life. In Ottawa he was seen by many, including Governor General Lord Grey*, as a man to watch. He was a regular guest at the dinners and balls of Ottawa’s elite. He enjoyed the company of women and expected to get married eventually – as a graduate student in Chicago he had proposed to a nurse – but his caution, his obligations to his family, and his reluctance to accept any fetters on his ambition probably account for his avoidance of the commitments of married life. He paid off his father’s debts and regularly responded to his mother’s appeals for money for clothes or housekeeping expenses. In the Gatineau hills of Quebec, north of Ottawa, he and Bert Harper had long walks, were enchanted by the area around Lac Kingsmere, read uplifting literature, and shared their spiritual concerns. 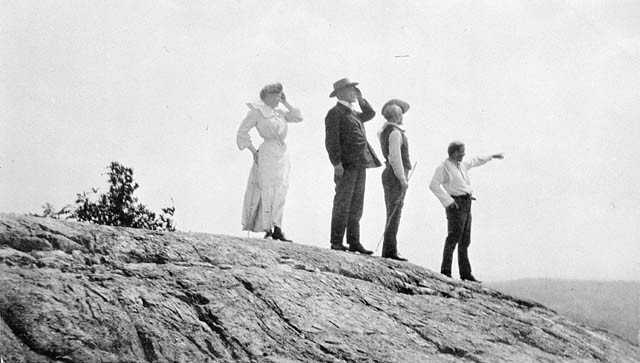 Their friendship ended in December 1901 when Harper died trying to save a young woman from drowning. King wrote a touching memoir, The secret of heroism, but he never again gave himself over to a close friendship. 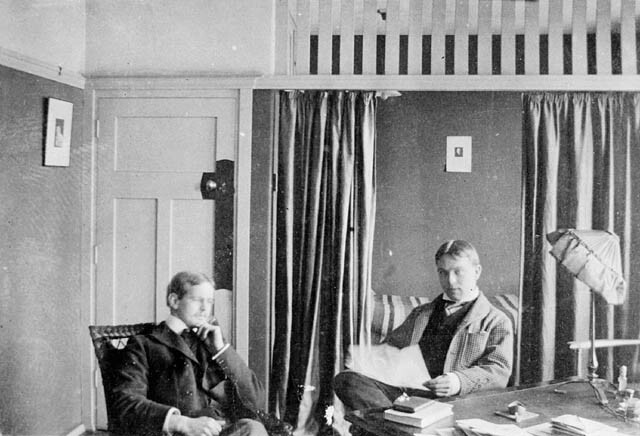 Before Harper’s death, he had acquired property at Kingsmere and built a small cottage as a refuge from the pressures of Ottawa. More and more, however, his career would overshadow his private life. 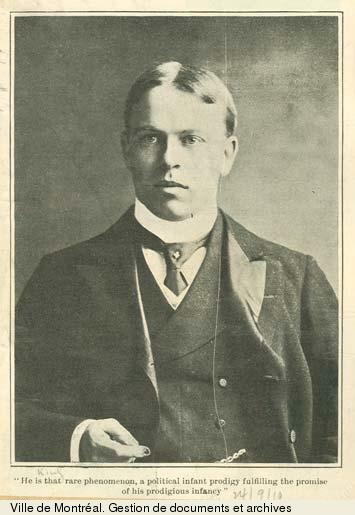 In the federal election of October 1908 King presented himself as the Liberal candidate in the riding of Waterloo North, which included Berlin. The riding had been held by a Conservative but King won it by a small margin. 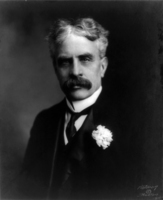 On 2 June 1909, soon after the first session of parliament had ended, Laurier appointed him minister of labour. King proceeded cautiously, aware that his senior colleagues saw him as an upstart and were dubious about his progressive views. On the labour front the new minister’s intervention in 1910 in the Grand Trunk Railway strike, which led to the blacklisting of workers and the loss of pensions, hurt the government. 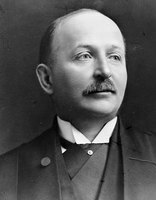 At the same time, he introduced the Combines Investigation Act of 1910, which established machinery to investigate alleged restraints of trade or price manipulation and authorized fines for those operating contrary to the public interest. He also spoke of the need for a bill for an eight-hour day but his legislative activity was interrupted by the reciprocity agreement and the federal election of September 1911. The government was defeated and, more serious for King, he lost his seat because reciprocity proved to be unpopular among the industrialists and factory workers of Berlin. King’s defeat was a setback but he remained committed to a political career. To earn his living he gave speeches, wrote political articles and pamphlets, and ran the Liberal Party’s new central information office in Ottawa, a job that included editing the Canadian Liberal Monthly. Then, in 1914, he received an unexpected offer. 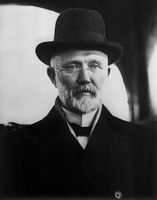 John Davison Rockefeller Jr had found himself harshly criticized for a bitter miners’ strike in Colorado; he knew nothing about it but was blamed because the mine belonged to his family. His response was to ask King to direct a study for the Rockefeller Foundation on industrial relations. When the two men met, they were mutually impressed. King saw a man who was naive about the obligations of employers but who seemed receptive and sincerely committed to reform, while Rockefeller saw a mentor who could guide him through this industrial quagmire. King agreed to conduct the study using the Colorado strike as a test case, and he was given permission to remain politically active in Canada. 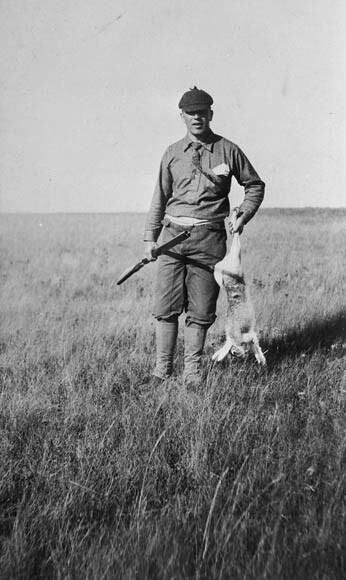 He first went to Colorado to meet the management and workers and then involved the young industrialist in negotiating a settlement, which resolved the conflicts over wages and working conditions and arranged for the election of workers to grievance committees. This negotiated plan was open to the objection that it provided for a “company union” instead of an independent union that could be less easily intimidated by management. King saw the arrangement as a necessary first step, however, and he received some credit for insisting on inclusion of the miners’ right to join a union and the right of organizers to campaign for members. Published in 1918, Industry and humanity: a study in the principles underlying industrial reconstruction (Toronto) was King’s report to the Rockefeller Foundation. The book had little impact because its analysis was laboured and abstract; his arguments drew on Toynbee, James Mavor* at the University of Toronto, and other theorists. His thesis, however, was a serious attempt to put industrial relations in a broader social context. A reformer but not a radical, King rejected the ideas of an inevitable class struggle. Labour, management, and capital were partners, not rivals, and conflict happened when there were grievances that the other partners did not fully appreciate. Industrial peace could be restored only if the partners recognized they had common interests and if there were structures wherein interests could be explained and understood. King broadened the debate further by arguing that the community was a fourth partner and its interests must also be considered. Industry and humanity never adequately clarified how the community’s voice could be expressed in negotiations but King’s theory could be used to justify government intervention if the community’s interests were ignored. Even if the book attracted minimal attention, it is important for the light it throws on his subsequent success as a politician. In politics, more interest groups were involved and the issues were often more complex, but for King the basic assumption of common good was the same. Leadership did not mean imposing policies or adopting ones because they were popular. It meant a cautious and incremental approach: discussions in cabinet and caucus, which could be heated and protracted, with the leader ensuring that all points of view were presented and that a consensus would be reached. King’s private life was also disrupted during these years. He had been an eligible bachelor for many years but his emotions became more and more centred on his family. The family, however, was narrowing. One of his sisters died in 1915, followed by his father the next year. His mother became more demanding, but King idealized her; he thought of her as the only person who appreciated him and believed in his political future. By this time she was an invalid; King installed her in his Ottawa apartment in late 1916 and nursed her through a series of crises. She passed away the day after his defeat in York North, before he could get back to Ottawa. With her death King felt painfully alone. Not surprisingly, he often thought of her and felt her presence. His interest in a world beyond the material world, which had its roots in his Christian faith, was heightened by this loneliness. Politics soon filled the void. 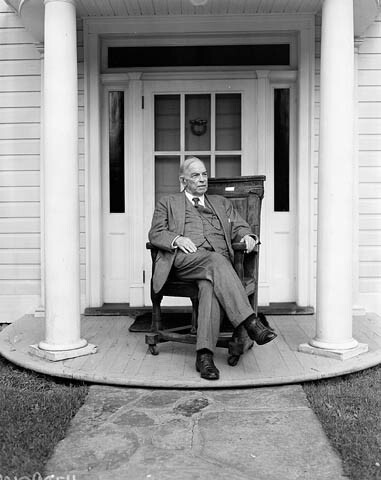 Laurier died in February 1919, shortly after the war and before the Liberal Party had recovered from its split over conscription and crushing electoral defeat. In August, for the first time in Canada, a federal party opted for a leadership convention instead of allowing the caucus to select a new leader. William Stevens Fielding*, Laurier’s long-serving finance minister, would have been the obvious successor in spite of his 70 years, but he had supported the Unionists and many Liberals, especially French Canadian Liberals, would not forgive this disloyalty. King had the advantage of being young and energetic as well as a recognized expert on the disturbing social and industrial questions of the day. It was a close contest but King’s loyalty to Laurier gave him the advantage. On 7 August he had the support of most of the Quebec bloc and enough backing from delegates from other regions to be chosen leader on the third ballot. Politicians would also have to come to terms with an unstable world beyond Canada’s borders. For most Canadians this adjustment meant redefining the country’s relations with Britain. Canada had entered the Great War as a colony but its experience during the war had many convinced that a subservient colonial status was no longer acceptable. At the same time few wanted total independence. The options ranged from a more centralized British empire, in which Canada would have an influential role, to a loosely associated commonwealth of nations in which the emphasis would be on Canadian autonomy. The implications for Canada were far from clear but change was in the air. The Liberal Party that had chosen King as its leader was itself deeply divided. King would have to win back the Liberals who had supported the Union government and conscription without alienating the French Canadians. At the same time he would have to make the party more hospitable to the new labour and farm groups, which meant reducing tariffs and giving more social assistance to the less privileged while retaining the support of the industrialists. 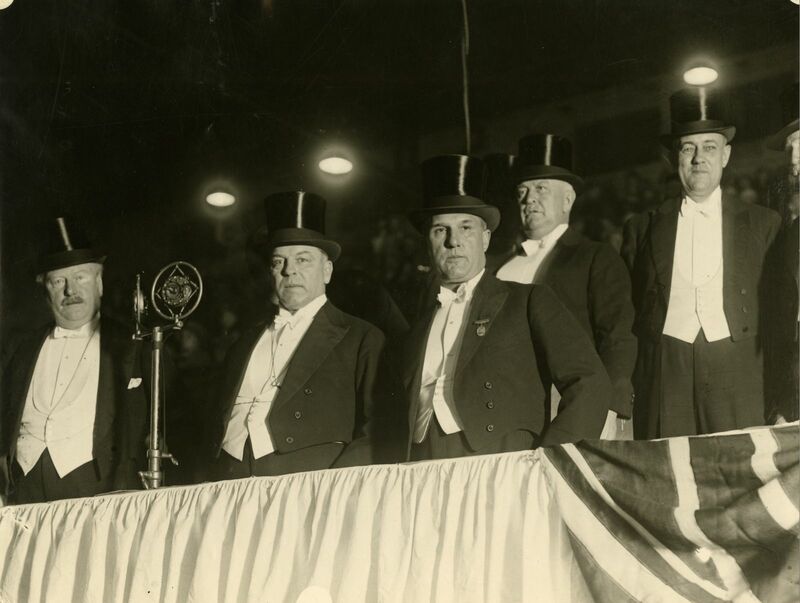 The Liberal convention of 1919 did propose a forward-looking platform that favoured lower tariffs without opting for free trade and approved of unions, better working conditions, and public insurance for the sick, the aged, and the unemployed. This platform was more an aspiration than a commitment, however, one to be adopted “in so far as the special circumstances of the country will permit.” King too was cautious; in his acceptance speech he was careful to describe the platform as a “chart” and not a contract. The new leader needed to construct a majority party in a divided country but he clearly intended to move slowly. King wanted to get into the House of Commons as soon as possible. He had a choice of ridings but in most cases he would have had to run against a farmers’ party candidate. To avoid any confrontation he picked Prince, in Prince Edward Island, where he was acclaimed in October 1919. 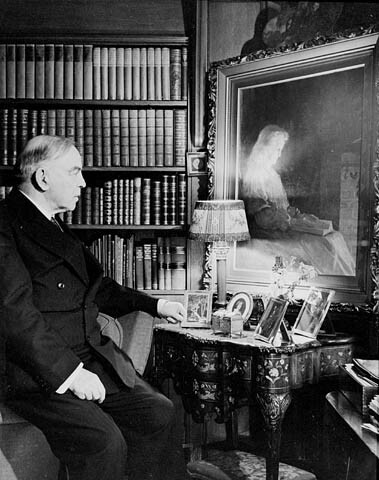 Once in the house he was careful to give W. S. Fielding a major role in the debates, a move that both reassured the conscriptionist Liberals and gave King time to familiarize himself with the current issues. 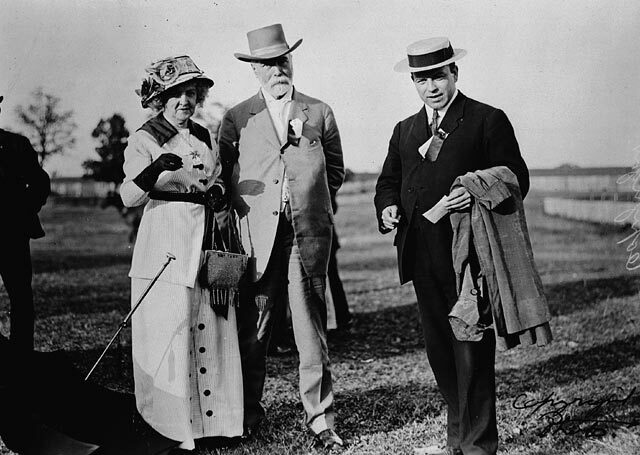 He took the opportunity in 1920 to tour Ontario and the west, making a point of expressing sympathy for the farmers’ problems and meeting with Progressive leaders to suggest some collaboration against the common Conservative enemy in the next election. The Progressives, who were riding a political crest, showed little interest. 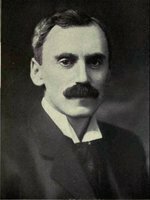 At the provincial level organized farmers won elections in Ontario (1919) and Alberta (1921), and were so strong in Manitoba and Saskatchewan that the Liberals there had to distance themselves from their federal counterparts in an effort to survive. 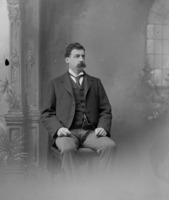 It was revealing that after King was nominated in his old riding of York North for the next election, Ralph W. E. Burnaby, president of the United Farmers of Ontario, was nominated to run against him. It would not be easy to convince farmers that the Liberal Party had changed its ways. King was still on trial. He would need to broaden the basis of Liberal support without alienating his own supporters and he would have little margin for error. His first decision was crucial. King knew that the Liberal Party had to retain the support of French Canada. He could read French but spoke it haltingly; the larger problem was more cultural than linguistic. To ensure that his government would not ignore the French Canadian point of view, he resolved that his closest colleague would come from Quebec. His choice was Ernest Lapointe, a backbencher and lawyer who had earned a reputation as a moderate Liberal and a champion of French Canadian rights. King called him to Ottawa immediately after the election, explained the role he would be expected to play, and offered him the justice portfolio to confirm his position. 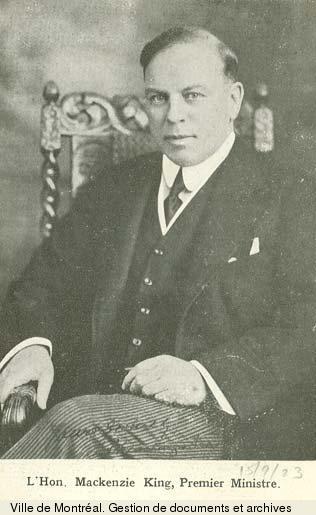 The most prominent figure among the French Canadians elected from Quebec was Sir Lomer Gouin*, a former premier of the province, but King was suspicious of his liberalism because of his protectionist leanings and close ties with Montreal’s business community. King eventually yielded to the political pressure to give justice to Gouin – Lapointe got marine and fisheries – but he made it clear that Lapointe was his chief lieutenant. This status was publicly corroborated in 1924 when Gouin resigned and Lapointe became minister of justice. 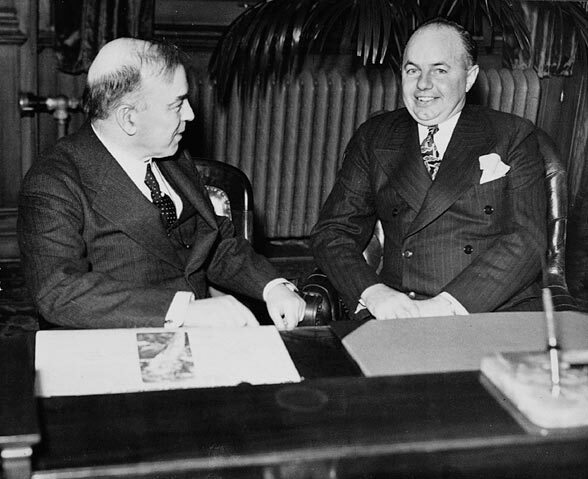 King and Lapointe would work closely together for almost 20 years, until Lapointe’s death in 1941. The next issue for King was the cabinet representation from the west. This was important because he saw the cabinet as the central institution of government. Policy was expected to emerge from debates there, with ministers defending the interests of their region and King playing the role of mediator. In 1921 his task, as he understood it, was to consolidate the anti-Conservative forces, a seemingly simple undertaking. 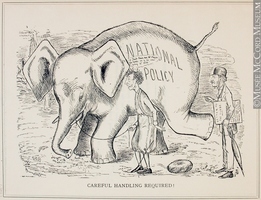 The Liberal and Progressive parties were both opposed to the high-tariff policies of the Conservatives and they both favoured greater autonomy in Canada’s relations with Britain. If Progressive leaders entered cabinet, the farmers’ point of view would be effectively presented and the emerging consensus would more adequately reflect a balanced national perspective. The difficulty was that the Liberal and Progressive parties both had deep internal divisions, which left their leaders with little room to manoeuvre. 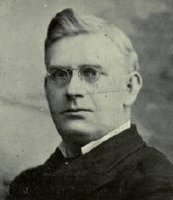 T. A. Crerar, the Progressive leader and mp for Marquette, Man., was tempted by the offer of a cabinet post; when he asked King for policy commitments on tariffs and railways, however, he got sympathy and understanding but no specific promises. The more radical Progressives made it clear that if he did enter the government he would not have their support. King eventually had to concede defeat and turn to elected Liberals to form his cabinet. For the next few years the Progressives were never far from King’s mind. The farmers’ concerns continued to be his preoccupation and in cabinet he represented, as best he could, the interests of those who were absent. The Crowsnest Pass agreement, which gave preferential freight rates on grain moving eastward from the prairies on the railways and some commodities westward, had been suspended in 1919 in response to wartime inflation but it was restored by the government in 1922. 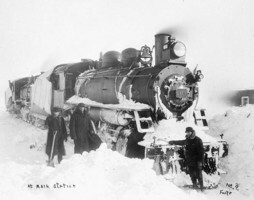 The government also committed itself to creating a railway system out of the bankrupt lines it had acquired during the war [see William Costello Kennedy*] and agreed to complete the Hudson Bay Railway to placate the farmers who wanted a shorter link to salt water. For most farmers, however, the real test would be tariff changes and here the government’s record was ambivalent. 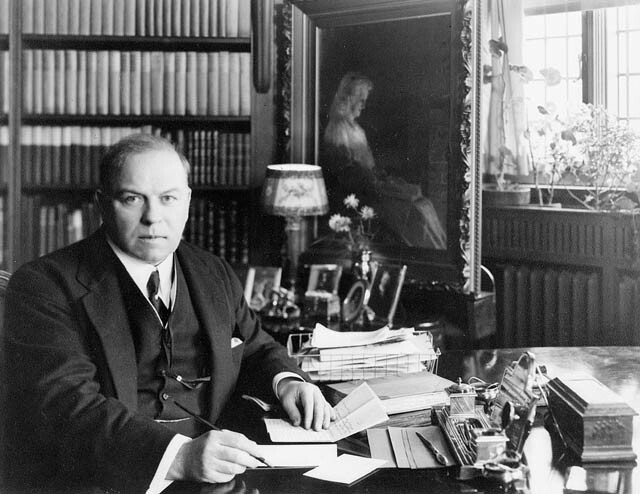 Although King argued in cabinet for some dramatic gesture, he had little support and Fielding, once again minister of finance, included few tariff reductions in his budgets of March 1922 and May 1923. Some Progressives split with their party to support the first budget but it was a sign of the farmers’ frustrations that all of the Progressives voted with the Conservatives against the second. King’s effort to unite the anti-Conservative forces fared better in international affairs. 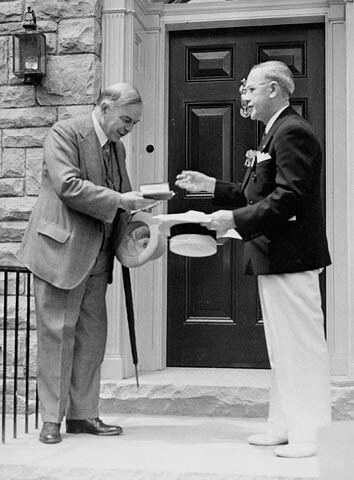 As prime minister, Meighen had continued Borden’s policy of preserving the diplomatic unity of the empire, though at the Imperial Conference of 1921 he had opposed the renewal of Britain’s alliance with Japan, recognizing that the United States had interests in the Pacific and wanting to maintain good Canadian-American relations. King too understood that imperial affairs abroad could have profound consequences for Canada. Within months the difficulties of maintaining imperial diplomatic unity were again exposed, dramatically, by the Çanak crisis. In September 1922 the Turkish government, in repudiation of a treaty it had signed with the allied powers, threatened to reoccupy the neutral zone of Çanak on the Dardanelles strait (Çanakkale Boğazi). Britain was determined to block this action, by force if necessary. With no prior consultation it appealed to the prime ministers of the dominions to provide military support and then released a statement to the press. King, who had not received the official message, first heard of the crisis from a journalist. His response, after meeting with the cabinet, was to refuse any participation without the consent of parliament. 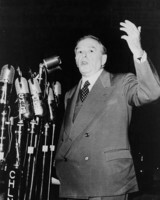 This assertion of autonomy was in sharp contrast to Meighen’s statement, in a speech in Toronto on 22 September, that Canada should have replied to Britain “Ready, aye ready; we stand by you.” King was careful to keep Crerar informed during the crisis and the Progressives openly supported his position. The Turks fortunately backed down, but the implications of Çanak could not be ignored. There would be no common imperial foreign policy if each dominion decided its own course of action. The Imperial Conference of 1923 could not disregard this challenge. The British government, with support from Australia and New Zealand, hoped that the conference would approve a broad statement on foreign policy. King was convinced that any attempt to make binding decisions for the dominions would be an encroachment on their autonomy. The conference, as he envisaged it, was an important way to exchange information and foster understanding but it had no authority; decisions would have to be made by the parliaments. The conference’s final report, which affirmed King’s belief, marked a decisive step in the evolution of the British Commonwealth of Nations (a term that had received imperial statutory recognition in the Anglo-Irish treaty of 1921). The affirmation was an admission that there would be no centralized empire. It left undecided how the unity of the Commonwealth might be achieved or if, indeed, the Commonwealth would survive. King had no misgivings. He believed that self-governing members of the Commonwealth shared profound social and political values and so would agree on major issues if there was no coercion. His analogy was the family: the dominions, like children, would grow up but they would not be tempted to slam doors or leave home if their autonomy was acknowledged. For him the recognition of the self-governing powers of the dominions would strengthen rather than weaken Commonwealth unity. 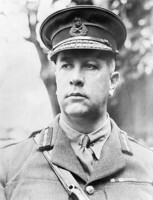 Among the advisers who accompanied King to the 1923 conference was Oscar Douglas Skelton, a political scientist at Queen’s University in Kingston and a biographer of Laurier. 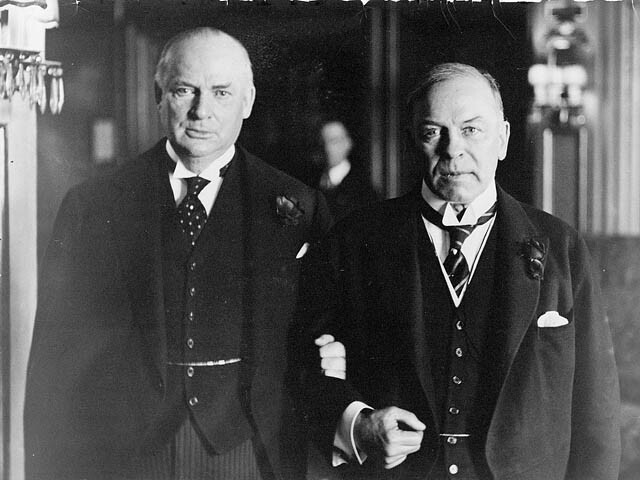 He attracted King’s attention by his lucid comments on Canadian autonomy and, after the conference, was persuaded by King to become a departmental counsellor in 1924 and then under-secretary of state for external affairs in 1925. The appointments confirmed King’s sound judgement. Skelton had a phenomenal capacity for work and a talent for organizing material and producing memoranda or speeches of remarkable brevity and clarity. He soon became King’s most trusted official. Skelton did not always agree with King – he was, for example, more sceptical about the benefits to Canada of membership in the Commonwealth – but he expressed his opinions frankly and then loyally accepted King’s decisions. 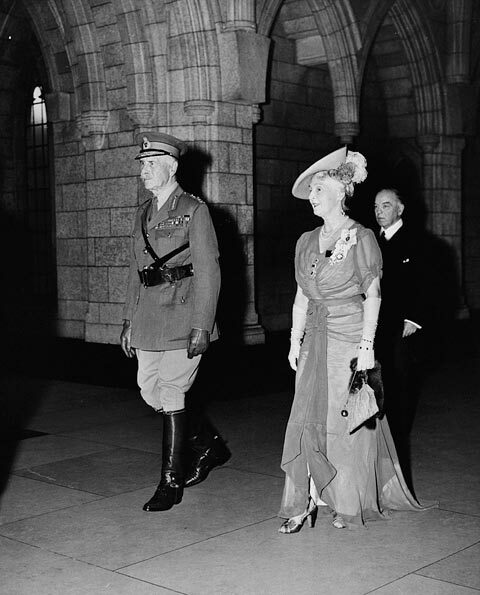 External affairs, however, and King’s crucial role at the Imperial Conference attracted little attention in Canada. Fortunately the political situation at home was promising. It was becoming easier to make concessions to the farmers because economic conditions were improving and because the protectionist wing of the Liberal Party had been weakened by the resignations of Fielding and Gouin for health reasons. At the same time the divisions within the Progressive Party were deepening. In 1924 the government was able to reduce some tariffs and still promise the first surplus since before the war. A few high-tariff Liberals voted against the budget but, more significantly, the moderate Progressives voted for it. King was now confident that the voters would reward his efforts and he dissolved parliament the next year. King was wrong. 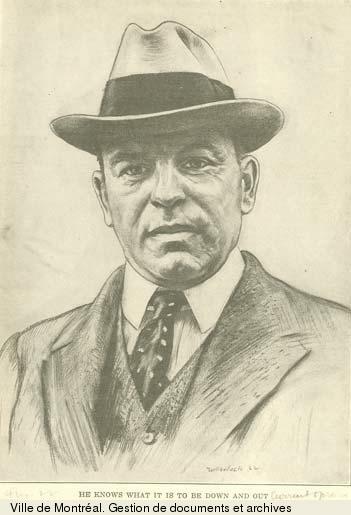 He had pushed his party as far as he had dared in the direction of lower tariffs and had defended Canadian autonomy within the empire, but electoral results in October 1925 constituted a major setback. The Liberals did increase their representation in the west by 18 seats; however, this gain was offset by the loss of 10 seats in Ontario and 19 in the Maritimes, where King’s courting of the Progressives was resented. The Liberals ended up with 99 seats, of which 59 were from Quebec. The Conservatives, on the other hand, gained seats in every region for a total of 116, just short of a majority. The Progressives fell dramatically to 24, although they could find some consolation in the fact that they would hold the balance of power in the new parliament. King’s plans were upset by a scandal in the Department of Customs and Excise. There had been collusion between smugglers and members of the department to run goods into Canada from the United States. 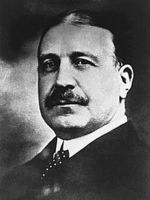 King had known for some time that there were problems and had moved the minister, Jacques Bureau*, to the Senate in September 1925 and appointed a successor, Georges-Henri Boivin, to reorganize the department. The Conservatives, however, were not impressed and saw the corruption there as an opportunity to defeat the Liberals, knowing that the Progressives, who had identified their party with honest government, would find it difficult to support the administration. King avoided any debate on the scandal as long as possible but in June 1926 the house had to deal with the report of a parliamentary committee on the scandal. When the Conservatives moved a vote of censure, King arranged a series of delaying amendments but it was clear that the Progressives were divided and that the government would likely be defeated on the final vote. 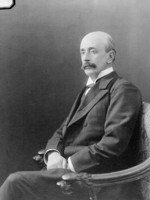 King’s response was to avoid the vote by asking the governor general to dissolve the house and force another election. 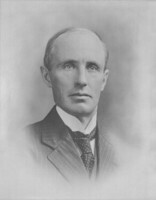 Byng refused on the grounds that Arthur Meighen should be given a chance to form a government. Meighen was prepared to try. On 27 June King speculated in his diary on his opponent’s prospects. “Meighen too will fall heir to some difficult situations – Western provinces. . . . If he seeks to carry on I believe he will not go far. Our chances of winning out in a general election are good. I feel I am right, and so am happy may God guide me in every step.” The following day King resigned. Meighen succeeded in forming a government and in passing a vote of censure but his hopes of ending the session quickly were frustrated by King’s refusal to cooperate. King arranged for a series of resolutions criticizing the new government. Enough Progressives, embarrassed at having to support Meighen, backed the Liberals in a vote of no-confidence on 2 July that narrowly defeated the new government. 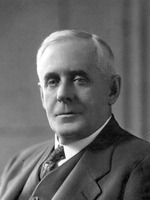 Byng then accepted Meighen’s advice and dissolved parliament. The election of September 1926 was decisive for King’s career. Support for the Liberals had declined under his leadership and now the party had the additional handicap of fighting under the cloud of the customs scandal. 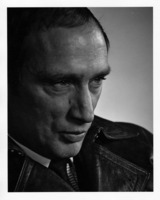 King, however, fought an aggressive campaign, nationally and in Prince Albert. He argued that the constitution had been violated when Byng had refused him a dissolution but granted one to Meighen. In constitutional terms, Byng was right and King was wrong. Politically, however, King was the winner. He had focused attention on Byng’s decision even though many Liberals doubted whether the electorate would be interested. The outcome seemed to confirm his judgement. 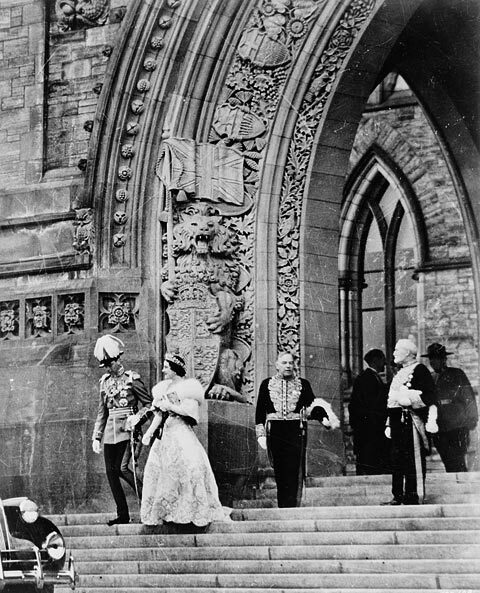 The constitutional issue distracted voters from the customs scandal, with King posing as the champion of Canadian autonomy against an interfering governor general. The decisive factor was the cumulative effect of King’s sustained efforts over five years to regain the confidence of the dissident farmers. The moderate Progressives had concluded that they preferred a Liberal to a Conservative government and in a number of ridings had agreed to nominate a Liberal-Progressive candidate. The Liberals won 116 seats and, with the support of 10 Liberal-Progressives, would have a clear majority. King himself retained his seat for Prince Albert. The next few years were good ones to be in office. The Canadian economy expanded as post-war recovery in Europe and prosperity in the United States increased the market for Canadian cereals, minerals, and wood products and as domestic demand grew for Canadian automobiles and other manufactured goods. The federal government could cut taxes and still reduce its debt and have a modest surplus. The provincial governments wanted financial concessions but these claims were nothing new and King’s skill as a negotiator would stand him in good stead. Late in the decade there were signs of economic trouble, including weakening newsprint and grain markets and excessive stock-market speculation, but optimism proved hardy. King continued to believe that his government was performing well and that the voters would show their gratitude. This definition did not end the debate. Hertzog interpreted “freely associated” to mean that South Africa could leave the Commonwealth if it chose to; the British did not agree. The definition was significant, however. Equal status meant that Britain could no longer assume that its foreign policy should be the policy of the Commonwealth. It also meant that Canada, like the other dominions, could develop a diplomatic service and a foreign policy of its own. 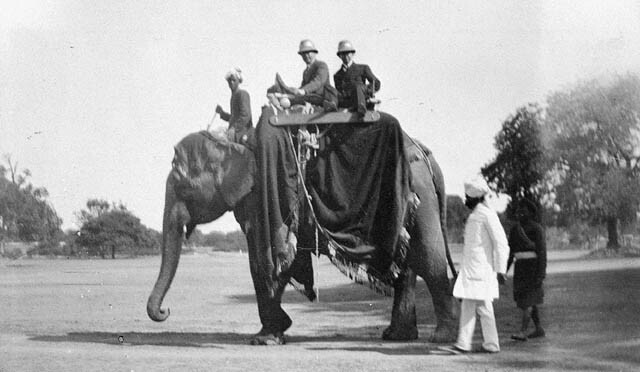 The Imperial Conference of 1926 and the Statute of Westminster of 1931, which would give this new status legal definition, confirmed that the British Commonwealth of Nations would be a voluntary association, with its strength to be determined by the decisions of its respective members. Canada’s diplomatic service quickly took shape. Charles Vincent Massey*, the first representative to be appointed abroad with full diplomatic status, was named envoy to the United States in November 1926. This assignment was followed by the appointment of Philippe Roy to France in 1928 and Herbert Meredith Marler* to Tokyo in 1929. Back in Canada, King had to deal with continuing regional dissatisfaction. The Maritimes were aggrieved because they were not sharing in the prosperity of the rest of the country and were convinced that federal tariffs and railway freight rates were to blame. The prairie premiers complained that federal reluctance to relinquish control of their natural resources was discriminatory. The premiers of Ontario and Quebec objected to the limitations placed on their authority to develop hydroelectric power by federal jurisdiction over navigable streams. At the Dominion-Provincial Conference of 1927 King used his conciliatory skills and held out concessions to each region if they raised no objections to the offers made to the other regions. And so the Maritimes got higher subsidies and lower freight rates, the prairie provinces got control of their natural resources without losing a compensatory subsidy, and Ontario and Quebec got the right to distribute water power developed on navigable streams. For the moment King’s approach had appeased the regional demands. This relative political harmony was linked to the prosperity of the mid 1920s but it can also be seen as the end of a long era of nation building. The three-pronged National Policy of Canada’s first prime minister, Sir John A. Macdonald*, had achieved its objectives. Most of the arable land offered to homesteaders on the prairies was now occupied and for the first time in half a century the federal policy of assistance to agricultural immigrants was questioned. Railway policy was also being modified. The government-owned Canadian National Railways, under the aggressive management of Sir Henry Worth Thornton*, had spent federal funds to develop an integrated railway system. The success of this investment seemed confirmed by 1928 when the operating revenues of the system exceeded the interest payments on the railways’ bonds. The third prong, the tariffs, was a major subject of political debate – farmers still deemed them too high – but they were no longer a dynamic factor in the Canadian economy. King had no new policy to substitute for the old National Policy. He did reintroduce old-age pensions after the 1926 election but he did not follow up with other measures of social security for individuals in an increasingly urban and industrial Canada. Instead of spending the increased revenue which prosperity provided, the government used its annual surplus to reduce its debt and in 1927-28 it lowered the sales and income taxes. King saw no reason to question this frugality. By reducing taxes and so reducing the costs of production, his government, he was sure, deserved credit for Canada’s economic growth and he expected to be rewarded at the polls. 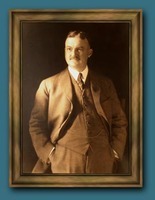 The Republican victory south of the border in 1928 introduced a possible complication because President Herbert Clark Hoover was committed to raising the American tariffs on farm products. King used what influence he could to change Hoover’s mind. He agreed to help American agencies enforce Prohibition by making it more difficult to smuggle Canadian liquor into the United States. He also tried to take advantage of Hoover’s interest in a St Lawrence River seaway by suggesting that Canada was ready to negotiate an agreement. Hoover would not change his mind. The King government responded in the federal budget of 1930 by promising countervailing rates if the American government did increase its tariffs. By then the good times were over, though not all Canadians realized this at the time. In Canada the onset of the world-wide depression of the 1930s differed by region and by industry. The Maritimes had already entered into severe economic decline. The overproduction of pulp and paper had meant lay-offs in northern communities as early as 1927. The price of western wheat dropped in 1928. In other regions, even in 1930, there might be some concern for the future but the factories were still operating. 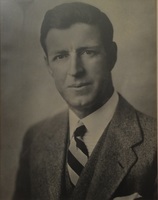 Richard Bedford Bennett, the leader of the opposition in parliament since 1927, argued that there was a crisis and demanded that the government do something. King was not impressed. It is revealing that there is no reference in his diary to the famous stock-market crash in October 1929; it would take two more years to push the government financially to the wall. King’s own investments were in government bonds and gilt-edged securities and it was easy for him in 1929 to assume that only speculators had been hurt. He also found the talk of unemployment exaggerated – in 1930 the Dominion Bureau of Statistics was only starting to register a drop – and surely next spring would bring higher prices and more jobs. It was, King believed, a temporary recession and just patience was needed. 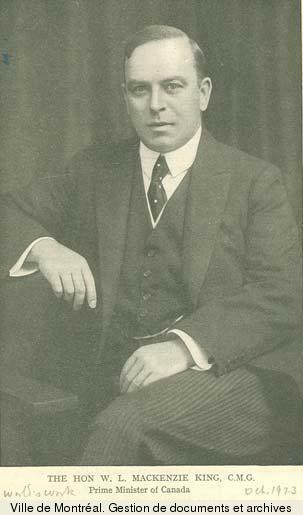 The prime minister spent the early part of 1930 mulling over the timing of the next election and related budgetary options. What scant attention he paid to the appointment in February of Canada’s first female senator, Cairine Reay Wilson [Mackay*], was of a partisan nature. On the economic front his optimism led to an uncharacteristic slip in a debate on unemployment on 3 April 1930. The Conservatives argued that the crisis was so severe that Ottawa should offer financial assistance to the provincial governments, which were responsible for unemployment relief. 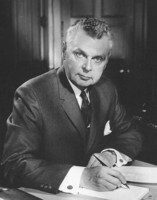 King pointed out that no premier had asked for help and that, in Ontario, George Howard Ferguson had even denied his province had an unemployment problem. 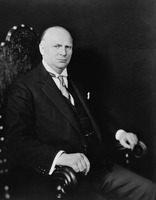 The federal Tories, according to King, were playing partisan politics, asking him to subsidize provincial Tory governments for no good reason, and he “would not give them a five-cent piece.” He did not often deliver such an unguarded statement and the opposition would make much of “the five-cent speech” in the election called for July. King was still confident that voters would appreciate his frugal financial policy. In the campaign he did not ignore the economic downturn but he offered caution and sound government as the appropriate response. 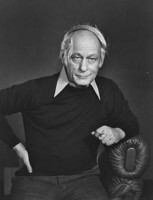 On the other hand, Bennett, who used radio with telling effect, talked of an economic crisis and promised dramatic measures, including the use of tariffs “to blast a way into the markets that have been closed.” On the prairies, where wheat prices had dropped sharply, and in Quebec, where dairy farmers wanted protection against New Zealand butter, Bennett’s appeal swung enough votes to give the Conservatives a majority. Returned in Prince Albert, King would spend the next five years in opposition. His lifestyle was now well established. At 55, he was a confirmed bachelor with few interests outside of politics. 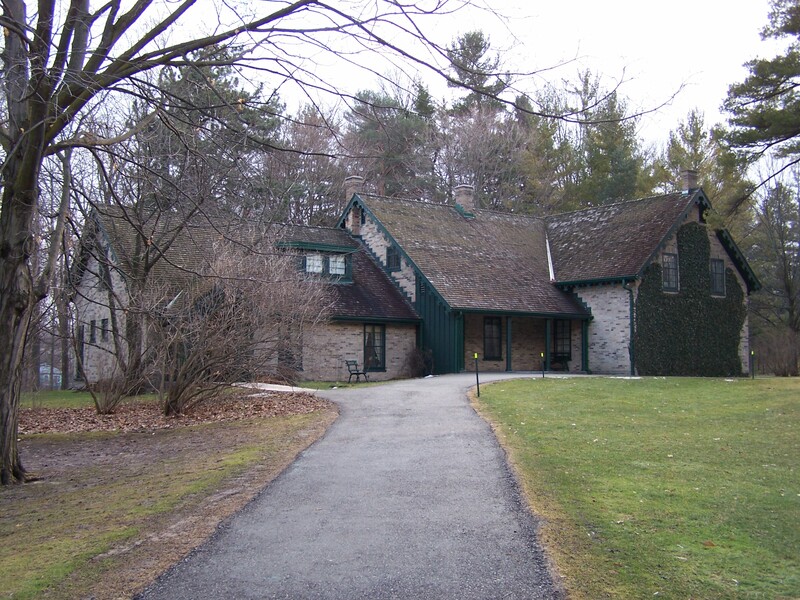 Laurier House, the Ottawa residence he had inherited from Lady Laurier and occupied since 1923, was a comfortable, yellow-brick abode maintained by a staff that included a valet, a cook, a chauffeur, and a gardener. 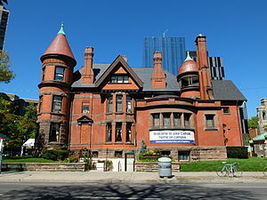 Peter Charles Larkin*, a loyal Liberal businessman, had collected private funds to renovate it and pay for its upkeep. An elevator was installed. It took King and sometimes his invited guests to the third-floor library, where a portrait of his mother was prominently displayed. King occasionally had people for dinner but these were usually formal occasions. He was not a gregarious man and none of his colleagues and friends would visit him without an invitation. His closest friend was Mary Joan Patteson, wife of Godfroy Barkworth Patteson, a local banker with limited interests. Joan was a discreet and sympathetic woman who listened to King with patience and understanding and who rarely intruded her own problems into the discussions. King regularly talked to her over the telephone or dropped in for a visit to recount the difficulties or good fortunes of the day. The friendship was never a secret and it was a tribute to Joan’s discretion and transparent dignity that no scandalous rumours about the nature of the relationship were ever taken seriously. King’s summer residence at Kingsmere was even more of a refuge than Laurier House. He expanded the property in the 1920s and 1930s and spent his summer months there to escape the sultry heat and social pressures of Ottawa. He rented a cottage on his property to the Pattesons and sometimes entertained foreign guests for lunch, but if he saw his colleagues or secretaries there it was only because he had asked them to make the trip to conduct business. 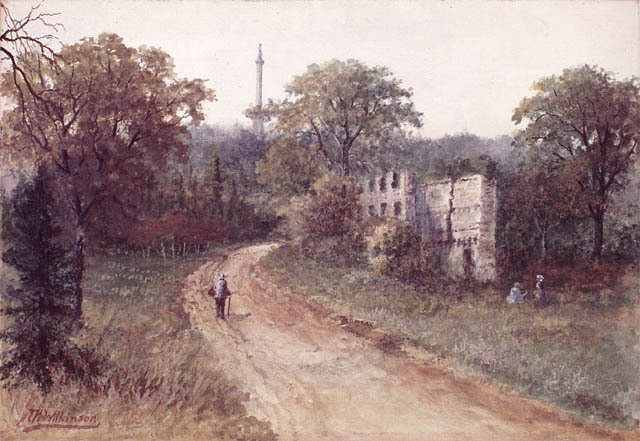 King’s interest in erecting artificial ruins at Kingsmere – still one of its most fascinating features – emerged in 1934, when his grandfather’s house in Toronto was threatened with demolition. The Kingsmere collection actually began the following year, with a stone window frame from the Ottawa residence of the late Simon-Napoléon Parent*. If King seemed settled in his ways, he was still a lonely man and politics was not enough to fill his life completely. He had no close family ties by this time; his surviving sibling, Janet (Jennie) Lindsey Lay, lived in Barrie, Ont., but they were not intimate. As leader of the Liberal Party he kept himself at arm’s length from his colleagues, who might try to presume on his friendship and might have to be jettisoned if the political winds changed. He did continue to correspond with acquaintances outside Ottawa and to talk to Joan Patteson, but this was not enough for a man who constantly needed the reassurance that he was loved. Pat, his Irish terrier, was important because Pat showed affection without making too many demands on his time. King, however, also found emotional support in more unusual ways. 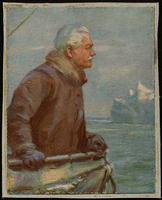 In 1916, after visiting the graves of his sister Isabel Christina Grace and father in Toronto, he had noted in his diary, “To me the spiritual presence of both Bell & himself was far more real than their graves which my eyes were witnessing.” His faith that his family (especially his mother) and others were somehow still watching over him became more important as time passed; he regularly saw coincidences as a sign of their presence and interpreted his dreams as evidence of their affection and support. This faith in itself did not make King unique but the need for signs of approval from the spirit world gradually led him to seek confirmation in more eccentric ways. 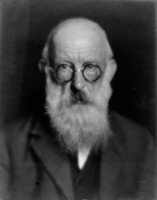 He was intrigued by forecasts of the future based on tea leaves and his horoscope, consulted a fortune-teller, and during his years in opposition, when he had more leisure time, tried to make contact with the spirit world through other means, including the Ouija board and sessions with a medium. King occasionally expressed scepticism about the messages he received – he justified his interest by calling it psychic research – but he was still fascinated by the apparent contacts with the departed. He did not seek their political advice; his political decisions were based as always on his own analysis of situations. The content of the messages was less important than the evidence that the spirits were present and watching over him. This reassurance gave him the strength to deal with the stresses and strains and with the isolation of politics. In a paradoxical way, his eccentric links with this other world made it more possible for him to cope with the normal pressures of a political career. 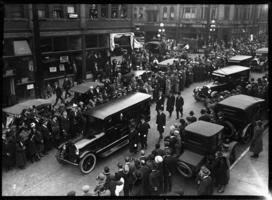 The normal pressures were intensified after the 1930 election by allegations of corruption. What became known as the Beauharnois Scandal had its roots in a scheme to divert water from the St Lawrence into the Beauharnois Canal near Montreal to develop hydroelectric power. In March 1929 the King government had authorized a diversion after confirming that it would not interfere with navigability on the river. The Beauharnois Light, Heat and Power Company, however, saw this approval as only the beginning. It looked forward to a seaway with most of the St Lawrence diverted into its canal. The potential profits were enormous. The corporation, apparently concluding that it was necessary to keep the Liberals in power, funnelled more than half a million dollars into their campaign fund in 1930. This contribution proved awkward for the party when it became public knowledge after the Liberal defeat. 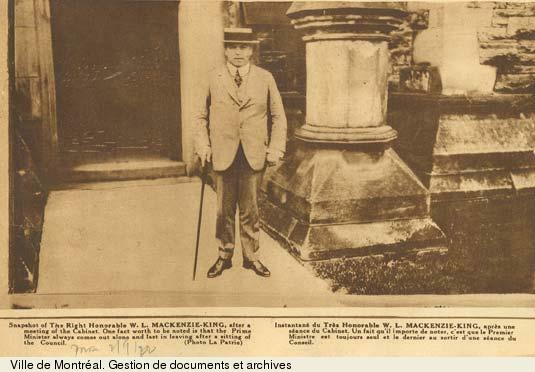 Even more embarrassing for King was the disclosure that he had gone on a holiday to Bermuda with Wilfrid Laurier McDougald, the chairman of the Beauharnois board, and that McDougald had paid King’s hotel bill and submitted it to Beauharnois on his expense account. Between June 1931 and April 1932 committees of the commons and the Senate investigated the many related allegations. King managed to have his name cleared. McDougald explained that he had submitted his bill by mistake; nobody seemed concerned that King’s acceptance of McDougald’s generosity might be interpreted as a conflict of interest. The donation to the Liberal campaign was more difficult to deal with. King could argue that his government had protected the public interest when it allowed the diversion of water and had made no further commitments to the corporation, but he knew that many Canadians would remain unconvinced. Though the scandal did no long-term damage – nor did it lead to any major reforms in the financing of the party – it put the Liberals, King conceded in parliament on 30 July 1931, “in the valley of humiliation.” His solution was to isolate himself from party finances. Liberal bagmen would continue to collect and distribute campaign funds. As leader, King would not be told who the contributors were, so his political decisions would not be affected by their identity. This solution left him with a clear conscience but it still left the party largely dependent on undisclosed donations from private corporations. 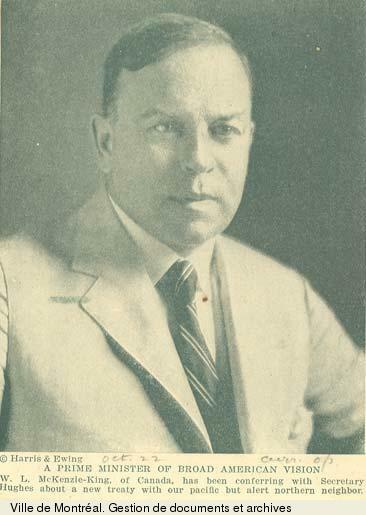 Bennett, who initially acted as his own minister of finance, had to face declining revenues as well as ever stronger demands for federal aid. He raised taxes slightly but revenues declined with the economic slowdown. Further tariff increases would have little effect because the existing structure already excluded most foreign competition. Bennett’s only choice seemed to be the reduction of expenditures, especially relief costs. He tried to keep aid to the provinces to a minimum by hard bargaining; in the unemployment and farm relief acts of 1931-32 he even refused to disclose the amount of federal funds available in order to negotiate more effectively. At the same time he showed his frustration with the depression by stressing law and order, denouncing strikes and demonstrations, and insisting that his administration was doing everything possible. After King had dealt with the Beauharnois problems, he proved to be an effective opposition leader. The depression of the 1930s was of unprecedented severity in Canada. The dependence on exports of raw materials and farm products meant that Canadian providers were especially vulnerable in a world where nations raised tariffs to protect their producers. Western farmers were doubly unfortunate because not only did prices reach historic lows, but in many regions drought, rust, and grasshoppers also meant crop failures. In cities, factories closed because consumers could no longer buy. Desperate Canadians had to turn to governments when they had no other place to turn, first for food and shelter and then for any means to restore their hope. The depression brought regions and classes into conflict and encouraged demagogues to propose radical and unorthodox policies. King seemed an unlikely leader for this troubled time. He had earned a reputation for being cautious, a man of compromises and half measures. In a world where the battle seemed to be between left and right, with communism and fascism at the extremes, King looked indecisive, even colourless. Yet within five years he would be back in office, at the head of the largest majority enjoyed by any party up to that time. He kept the Liberals together while the Conservative Party disintegrated and new political parties emerged to compete for votes. It was no mean achievement. As he had explained in 1929 to a correspondent, “The supreme effort of my leadership of the party has been to keep its aims and purposes so broad that it might be possible to unite at times of crisis under one banner those parties, which for one reason or another, have come to be separated from the Liberal party.” By 1923 most Progressives would have rejoined it. In 1931-32, however, unity seemed a distant goal: the party was torn between high and low tariff factions, and on the front benches of opposition King had few strong supporters at his side. 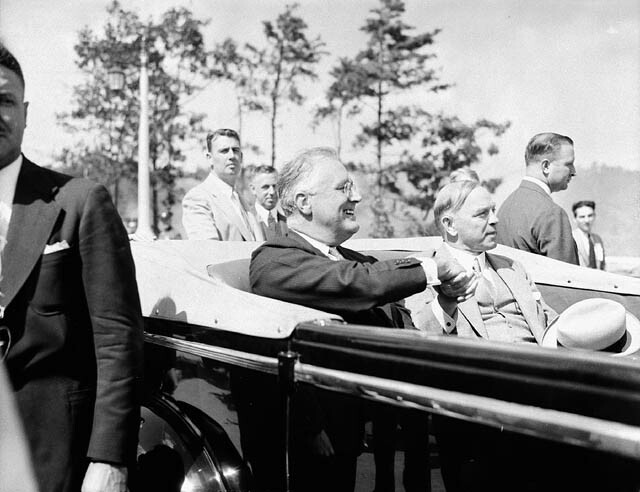 Like Bennett, King was slow to recognize that politics would be transformed by the depression. He had begun his years in opposition convinced that his administration had not deserved defeat. The economy had flourished, he believed, because of his government’s financial caution. The recession, if it was a recession, could be blamed on the speculative excesses of businessmen and on the weather cycle. The worst mistake Canada – and the rest of the world – could make was to react by raising tariffs and restricting international trade. 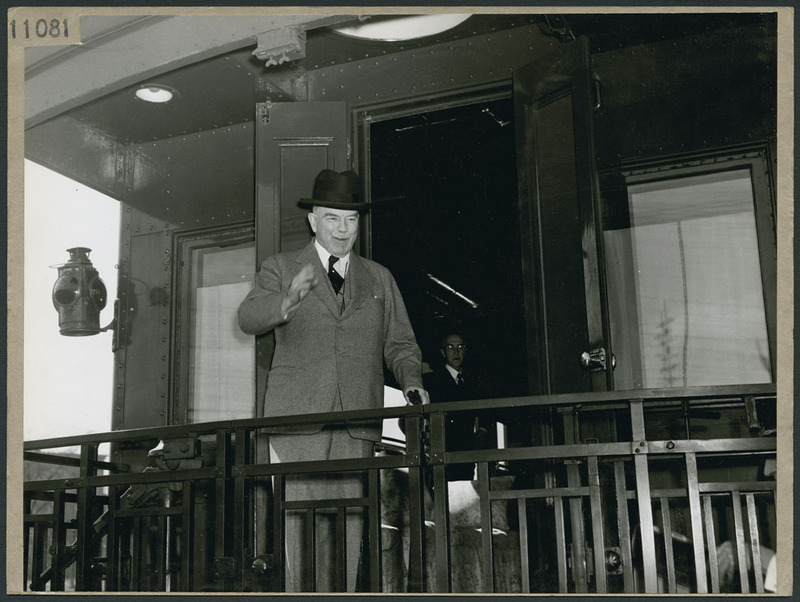 Bennett, from King’s perspective, had won election by exaggerating the threats to the Canadian economy and by rashly promising that he could somehow use the tariff to counteract international and climatic constraints. Voters, King believed, would soon learn that they had been deceived and would come to appreciate the Liberal years of frugal administration and freer trade. King thus saw little need to reconsider or revise his political assumptions. The Conservative government was clearly in political trouble and King was content to draw attention to its difficulties. He repeatedly reminded the house of Bennett’s election promises. He denounced the federal deficits as irresponsible without suggesting how budgets could be balanced. He did not object to aid to the provinces – the need was too apparent – but he did denounce the “blank cheques” parliament was asked to approve for relief, and delayed the passage of these bills over the objections of caucus members who feared constituents might conclude that the Liberals had no sympathy for those in distress. And each year, after the throne speech and the budget, he introduced amendments that blamed the depression on Bennett’s high-tariff policy. He was still responding as a traditional Canadian Liberal, convinced that the depression would end only with the restoration of international trade, when Canadian producers would once more have markets. Sure that high tariffs had made matters worse, he was encouraged too by the fact that Bennett and his government were being widely blamed and would surely be defeated. It was enough to focus attention on trade and tariffs until voters had the opportunity to remedy their mistake. King, however, gradually realized that for many Canadians, including some long-time Liberals, waiting was not good enough. Talk of tariffs had little relevance for parents who could not feed their children or for farmers who could not buy seed or hay. For them, the capitalist system seemed to have failed and tinkering with tariffs would accomplish nothing. It was also significant that voters would have more choice in the next election. The more radical Progressives and the Labour members in the commons had founded a new political party in 1932 – the Co-operative Commonwealth Federation – which offered the socialist alternative of government planning and public ownership. 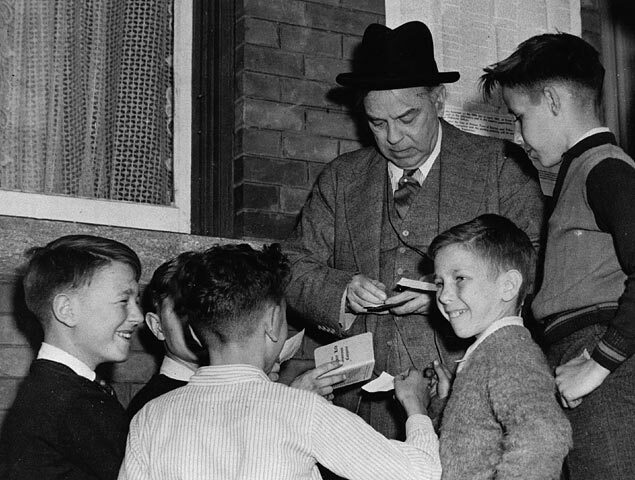 That same year, in Alberta, evangelist William Aberhart became a convert to monetary reform in the shape of social credit, a doctrine that advocated the distribution of money for purchases by consumers. Within two years he had transformed it into a political platform. By 1935 Social Credit candidates would come forward federally, and dissident Conservatives would form a new party. Many Liberals in the west, where the impact of the depression was most severe, were convinced that their party would have to adopt more radical measures to be relevant; more traditional Liberals rejected such policies as irresponsible. King’s response reflected his fundamental commitment to finding a consensus among “liberally-minded” Canadians. He did not expect to convert the Tories, whom he believed were wedded to big business, or the socialists, who wanted a monopoly of power for the workers. Criticism from his own caucus members, however, he took seriously. He might regret their impatience but he would not ignore them. His role was to keep the party united. By 1933 he had reluctantly concluded that traditional Liberal preconceptions were not enough. If the party was to survive, it would have to face the challenge of the depression more directly. Here his talents as a conciliator would be crucial. Although lower tariffs would be part of a new Liberal platform, the most controversial issue would be inflation. King and his more conservative followers still equated inflation with theft, but, for indebted producers especially, inflation seemed the only way to meet their financial obligations. King’s compromise was a government-controlled “central bank” that could modify the money supply on the basis of “public need.” He was proposing an institution, not a policy. He succeeded because the moderates saw the bank as an agency that could protect sound money and the radicals saw it as an agency that could introduce a policy of controlled inflation. The significance of this compromise should not be minimized. It recognized that the state should play a positive role in determining fiscal policy. It certainly implied more intervention than did the Bank of Canada legislated by Bennett in 1934, which was to be an agency of the chartered banks. This new platform was quite satisfactory to King. It placed the party in the centre of the political spectrum, more open than the Conservatives to regulating business without resorting to the socialist panacea of government ownership. It was also important to King that the platform had been approved in 1933 by both the conservatives and the radicals in the Liberal caucus. Some, among them Vincent Massey, wanted to take Liberalism in different directions, and not necessarily with King at the helm. With party unity assured, King eagerly awaited the next election. 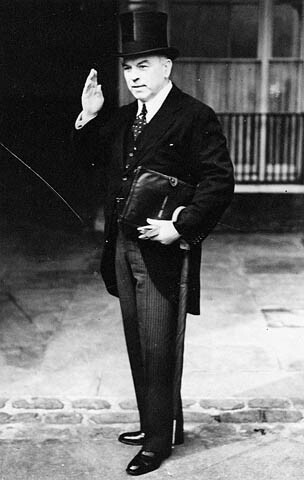 Late in the 1934 session he denounced Bennett for holding on to office when he no longer had popular support and promised that if he insisted on meeting the house for a fifth session, the Liberals would obstruct and force an election. 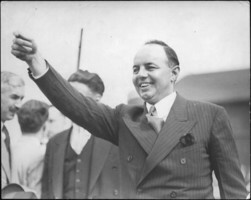 In January 1935 the political situation changed when Bennett made five radio speeches known as the New Deal broadcasts. “The old order is gone,” he told a startled audience, and he announced that he was for radical reform through government intervention. In the next session, he promised, he would introduce appropriate legislation. There was more rhetoric than substance to these broadcasts and Bennett, in contrast to King’s approach to leadership, had not consulted his colleagues. Confident that it had the jurisdictional authority, the government nonetheless passed the Employment and Social Insurance Act early in 1935. Bennett certainly won the attention of Canadians who, after five years of depression, wanted to believe that a political leader could end the crisis. King quickly revised his strategy. There would be no obstruction when the House of Commons met. He persuaded his caucus that the New Deal broadcasts were not about reform but were really the first phase of the election campaign. The Liberals must not appear to be opposed to reform. It would be wiser to seem cooperative and encourage the government to introduce the promised laws immediately. The embarrassed government had none prepared and when measures were introduced, they were less radical than the broadcasts had suggested. The New Deal, however, did mean an expansion of the federal role in marketing farm products, regulating business, and supervising working conditions. In constitutional terms it meant federal intervention in assumed provincial jurisdictions. King avoided any direct challenges. He persuaded caucus that the party should express its constitutional reservations and then vote for the legislation. The changed strategy worked. The Liberals remained united, at least in public, but the Conservatives became deeply divided. 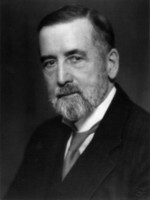 By the end of the session the government’s claim to be the party of reform was discredited and in July 1935 some dissident Conservatives led by Henry Herbert Stevens* had even formed a separate Reconstruction Party. In the federal election of October the Liberals were returned with 173 seats, the largest majority on record, with members from every province, while the Conservatives were reduced to a rump of 40 members. The popular vote, however, told a different story. The Liberals received only 45 per cent, almost unchanged from the previous election. The dramatic change was the drop for the Conservatives and the support of 20 per cent for the new parties: the CCF and its socialism, Reconstruction and its emphasis on regulating business, and Social Credit and its panacea of inflation. If the choice was between “King or chaos,” as the Liberal slogan put it, a good many Canadian voters were prepared to risk chaos. The next four years would be a difficult time for the country. For its new prime minister it would be a stern test of his political skills. His experience and confidence showed in his cabinet. King again took on external affairs. Ernest Lapointe, still his closest colleague, returned to justice. 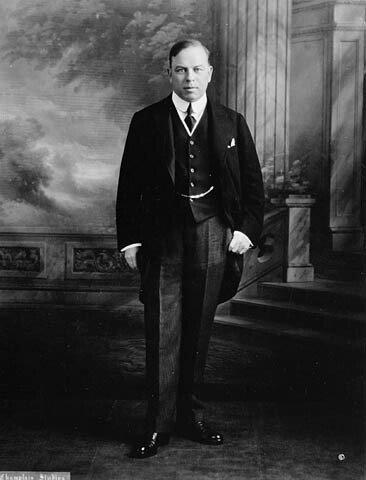 The financially conservative Charles Avery Dunning* was persuaded to become minister of finance, and from among the new mps King appointed Clarence Decatur Howe*, who had business experience, to the newly created portfolio of transport. The cabinet was recognized as an able group, and King would give his ministers a good deal of autonomy in the administration of their departments, but King, more than ever, was in charge. He set the government’s agenda and chaired the cabinet discussions. After some slow improvement in economic conditions, 1937 saw another downturn, especially on the prairies, where the summer was the driest on record. Regional grievances fed on the frustrations of deferred recovery, and the government again became a popular target. The divisions within the Liberal Party, which reflected regional rivalries, were compounded by a series of international crises that threatened to involve Canada in a European war. The new government, as one of its first problems, had to decide on its international obligations as a member of the League of Nations. King had supported membership – it enhanced Canada’s status as a nation and provided evidence that Canada favoured the peaceful settlement of international disputes – but he had shown little interest in the debates at League headquarters in Geneva. Canada’s foreign policy had been mainly confined to relations with Britain and the United States, and King expected to deal with these countries directly. Shortly after the election, however, his government was faced with a request from the League to impose economic sanctions on Italy because it had invaded Ethiopia. The cabinet agreed to apply sanctions but the discussion made it clear to King that if the League went on to propose military intervention, the cabinet and the country would be deeply divided. The request for military sanctions never came because Britain and France backed away from any confrontation with Italy’s Fascist leader, Benito Mussolini. King nevertheless learned an important lesson: membership in the League might have serious political consequences for Canada. He took steps to minimize the risk. Though he affirmed, in the commons and later in Geneva, his support for the League as a necessary institution for the resolution of disputes, he bluntly rejected the idea of the League as a military alliance against aggressors. Canada, he told the League’s Assembly in 1936, did not support “automatic commitments to the use of force.” Editorials in much of the Canadian press applauded. King’s political faith in non-intervention, and his fear of domestic division, can be seen too in his decision to distance Canada from the Spanish Civil War in 1937 and his refusal to modify Canadian immigration regulations to admit European Jewish refugees. 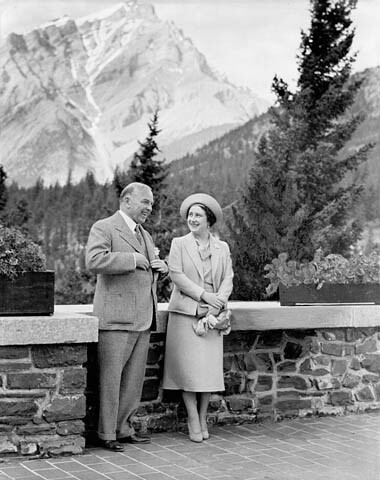 For King, Canada’s economic problems had higher priority than international relations, but he had no simple solution to the complex challenges of the depression. Although he had shown a willingness to consider extending the role of government when party unity seemed to require it, he was still reluctant to take new initiatives. His caution meant that his government’s honeymoon was brief. King’s only specific election promise had been to negotiate a trade treaty with the United States. Bennett had already begun the discussions but political interests on both sides of the border had delayed matters. 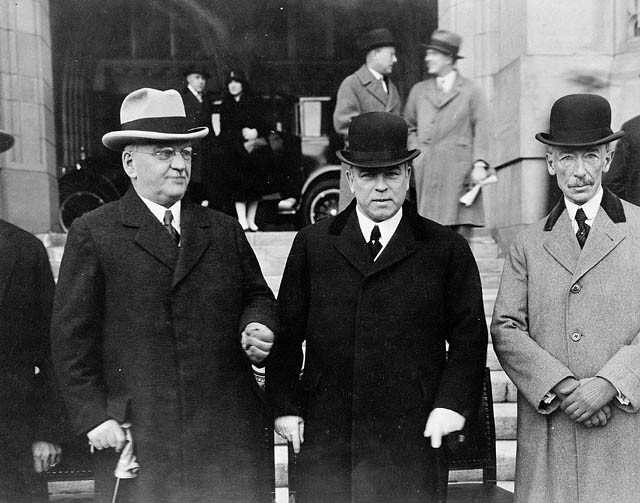 In November 1935, within two weeks of taking office, King was in Washington to make the best deal possible. He wisely enlisted the support of Cordell Hull, the American secretary of state and an evangelist for expanding international trade. President Franklin Delano Roosevelt, however, was the key. King and Roosevelt found it easy to discuss their political concerns. 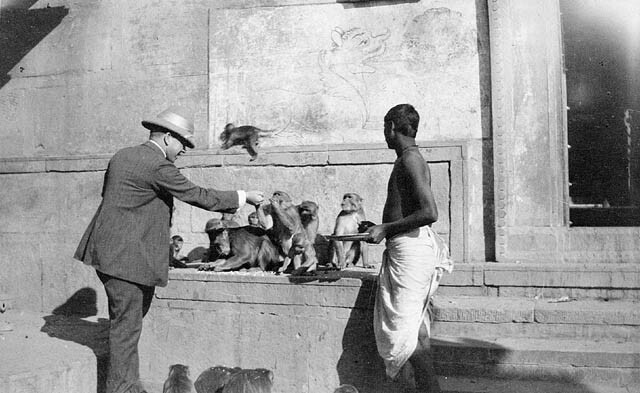 Roosevelt had a talent for putting visiting heads of state at ease and King could talk knowledgeably about United States politics and politicians. In the trade details King was well prepared and he returned to Canada with a treaty, which, modest in scope, gave Canadian farm products some welcome access to the American market. 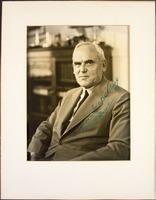 He was also encouraged by a conference with the provincial premiers, in December 1935 shortly after the election. He was confident that a change in governing style would make a difference, that his emphasis on consultation would smooth relations. The premiers faced declining revenues and higher welfare costs and needed federal grants and loans to reduce their deficits. The national government had deficits of its own and hoped that provincial demands could be limited through the elimination of extravagances or duplications of welfare payments. 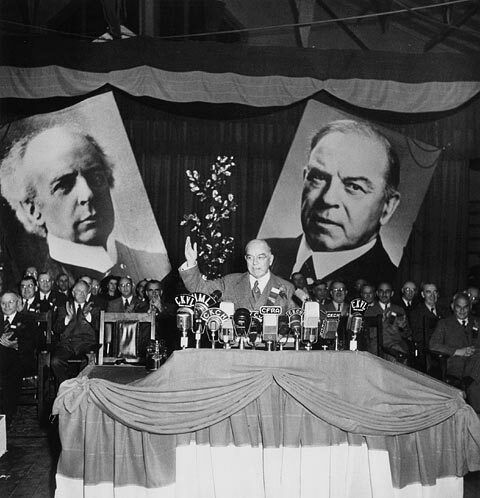 At the conference King pleased the premiers by increasing the federal grants until the spring of 1936; his talk of a federal commission to supervise welfare payments and the possibility of constitutional amendments affecting provincial jurisdiction over social policy did not attract much attention. He had already referred Bennett’s Employment and Social Insurance Act to the courts, which would strike it down as exceeding federal jurisdiction. King’s objective at this stage was a federal system in which each level of government would be able to pay for its programs out of its own tax sources. He was no more precise because he had no concrete measures in mind and assumed that any new distribution of powers would emerge from discussions with the provinces. King, however, soon found that confrontation was unavoidable because, without more federal aid, some provinces faced bankruptcy. William Aberhart, Alberta’s Social Credit premier since August 1935, was a populist with little concern for convention. In 1936 he could not refinance an issue of maturing provincial bonds without a federal guarantee of the interest payments. 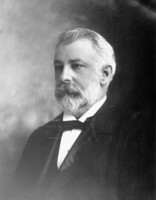 When C. A. Dunning suggested some federal supervision of provincial finances in return, Aberhart refused and extended the term for the bonds while halving the interest rates. Then, in 1937, under pressure from his backbenchers, he passed legislation to compel chartered banks to lend money to Albertans. When the newspapers criticized this measure Aberhart retaliated with a bill that obliged them to publish press releases giving the government’s side of the story. King’s response was to disallow the bank legislation and to refer the newspaper bill to the Supreme Court of Canada, which nullified it as unconstitutional. King was still not prepared to risk constitutional changes that might overextend federal finances. He focused instead on defending the fiscal stability of his government, convinced that a more efficient administration of relief by the provinces would reduce costs. When the National Employment Commission, formed in 1936, recommended a constitutional amendment to shift relief to the federal government, King remained dubious. The next year he postponed any decision on constitutional change by appointing a royal commission on dominion-provincial relations, known after its chairmen as the Rowell-Sirois commission. His liberal views, which still associated government planning with socialist coercion, were reinforced by his concern to balance the budget. The prime minister did agree to some extension of the economic role of government when he felt the political pressures could not be safely ignored. He had objected to Bennett’s Canadian Wheat Board in 1935 but had accepted its operation while it disposed of the wheat it had bought up to support prices. 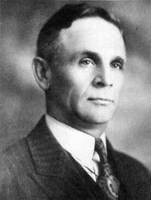 By 1938, however, the board had sold its holdings and King proposed a return to the open market. Western farmers were incensed. They wanted a board that would give them a guaranteed minimum price, with the federal government covering any losses, and they organized a public campaign that could not be ignored. 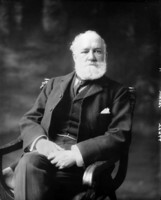 King and agriculture minister James Garfield Gardiner* reluctantly agreed to extend the board’s life and to offer a minimum price that would protect the farmers from further declines. There was one other significant increase in federal expenditures that King agreed to with reluctance. He and Dunning had initially planned a balanced budget for 1938, sure that voters would reward a financially responsible government, but some colleagues, to King’s surprise, were not convinced. They wanted to create jobs to stimulate the economy. Their argument was reinforced by the theory of influential British economist John Maynard Keynes that governments could increase employment by spending when private investment was low. King, however, was swayed more by political than by economic arguments. To placate his colleagues he agreed to budget for a deficit in 1938 and again in 1939. This acceptance of contra-cyclical financing was hesitant but for King it was a major step towards using the budget more to craft fiscal policy than to balance accounts. Lowering trade barriers still seemed a surer way of stimulating the economy. King saw a great opportunity when Cordell Hull asked him to use the Imperial Conference of 1937 as an opportunity to encourage British prime minister Arthur Neville Chamberlain to negotiate a trade agreement with the United States. King responded with enthusiasm because he firmly believed that such an agreement would strengthen the economies of Canada’s closest friends and improve their relations. But he also knew that Canada would have to be involved in any negotiations because Britain could not reduce its tariffs on such American goods as apples and lumber without asking Canada to forgo some of the preference that the 1932 Ottawa agreements had guaranteed. When talks began King insisted on compensation for Canadian concessions. He drove a hard bargain. In 1938, after prolonged triangular negotiations, a treaty was signed that had some tangible benefits for each region of Canada. Both Hull and Chamberlain learned to be more sceptical about King’s altruism. By then the economic situation, frustrating as it might be, was overshadowed by the threat of a European war. As a liberal, King still favoured resolving international disputes by negotiation and he shared the widespread hostility to the “merchants of death” who profited from the arms trade. 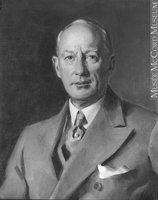 He had tried to limit expenditures on the armed forces, but by 1937 he had decided that his government could no longer ignore its obligation to defend Canada “in a mad world.” Though the British Royal Navy and the United States’ Monroe Doctrine might mean that the dominion was in no immediate danger of attack, Canadian autonomy required it to take some responsibility for its own defence. Most Canadians would recognize the duty to protect their coasts, but what of the argument that Britain was Canada’s first line of defence? Many Canadians, including King, accepted it; to many French Canadians it was a reminder of the coercive behaviour of the majority in the Great War. King decided to almost double the defence budget in 1937. Some Liberals were strongly opposed but they yielded to his insistence that the additional money would be spent on the navy and air force for coastal defence and not on an expeditionary force for Europe. He was not being dishonest; he was merely keeping his options open. Coastal defence was needed but he knew that augmentation of the navy and the air force would be useful as well in a European war. In 1939, with war even more likely, he again overrode opposition in the party to double the defence estimates. Canada was still unprepared for war in September of that year but King had shown more forethought than most of his followers. By this time he had reluctantly concluded that he could not isolate Canada from a European crisis. The League of Nations had never recovered from Ethiopia and so membership no longer threatened to involve Canada in war. Membership in the Commonwealth, however, carried risks that were not so easily dealt with. King saw the danger: the country – and the Liberal Party – might again be divided. His first response was to persuade the British government to avoid entangling alliances. Germany might provoke a war, but if Britain was not drawn in Canada would not be involved. 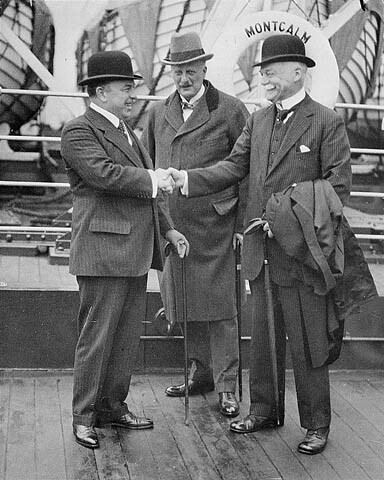 At the Imperial Conference of 1937, therefore, King encouraged the British to resist confrontations and to resolve disputes with Germany through peaceful negotiations. Though appeasement would later be denounced as yielding to an aggressor, at the time it was seen as a legitimate response to legitimate grievances. King himself visited Adolf Hitler after the conference. 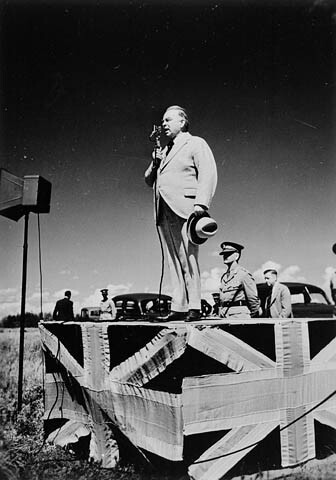 He warned the Führer that Canada would be at Britain’s side if Britain was drawn into war, but King was optimistic. Hitler, he reported to Chamberlain, seemed to be a reasonable man. In 1938, however, King was forced to realize that Britain would not be able to isolate itself from events. The crucial event for him was the Munich agreement of late September, when Chamberlain helped to negotiate the cession of Czechoslovakian territory to Germany. Had negotiations failed and war ensued, King and most of his government would have been at Britain’s side, though some members would have resigned. Much relieved when the agreement ended the crisis, he nevertheless recognized that war was likely and that Britain would be engaged. He was sure that most Canadians would want to be, and should be, involved. The political problem, as he saw it, was to have this decision accepted without serious divisions. In the commons on 20 March 1939, King explained his position. His government had made no commitments. If war came, parliament would decide what to do, based on Canadian interests. Here was reassurance for those who suspected the malign influence of London, but King did not stop there. “If there were a prospect of an aggressor launching an attack on Britain, with bombers raining death on London, I have no doubt what the decision of the Canadian people and parliament would be. We would regard it as an act of aggression, menacing freedom in all parts of the British Commonwealth.” Ten days later he returned to the subject of involvement, to reiterate the understanding that his government would never introduce conscription for overseas service. French Canada acquiesced. 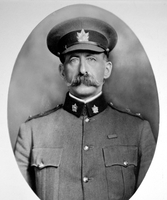 His position convinced many other Canadians too, but it did make it difficult to plan for war. In 1936, for example, Britain had proposed a joint venture to manufacture Bren machine-guns in Canada. King procrastinated because, if Britain went to war and Canada was committed to supplying the guns, it would be considered a belligerent. 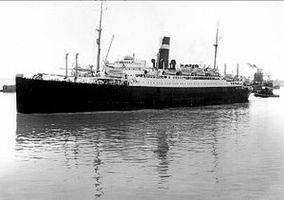 King eventually yielded to British pressure, however, and the contracts were signed in 1938. 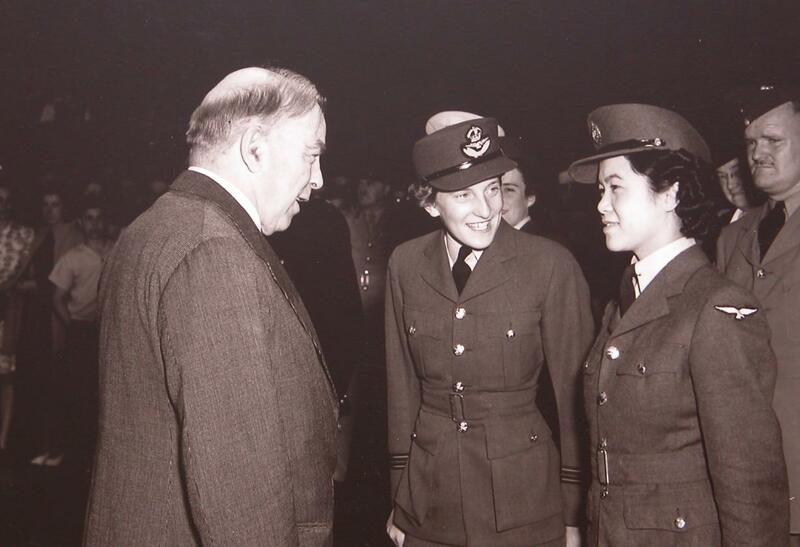 A British proposal to train pilots in Canada was even more controversial. King’s rejection of the project in 1936 and 1938, and then his insistence on Canadian control, meant that no decision was reached before Germany invaded Poland and war was declared. There could be no effective joint planning with its Commonwealth allies if Canada made no commitments in advance. King’s strategy also meant that Canada played no part in shaping British foreign policy. King was shocked in March 1939 when Chamberlain reversed Munich and promised to defend Poland’s borders, but he expressed no objections. Again there was no consultation when Britain declared war on 3 September, though this time at least King and his government were united in their support. Canada’s own declaration of war was delayed because King had to assemble parliament to keep his promise that it would decide. When the Liberal-dominated commons met in emergency session, starting on the 7th, the decision that had seemed so controversial a year before was accepted on the 9th almost unanimously. King repeated the pledge he had made in parliament in March not to introduce conscription for overseas service. His strategy had disadvantages, but it did help to bring Canada into the war without irreparable division. Now in his mid 60s, King was conscious of his age. The pressures of the depression and the international situation had exhausted him. Politics had become an endless effort to avoid disasters; in his diary King talked of retiring after winning one more election. Then came the war, which provided an overriding sense of purpose. Leadership now meant more than staying in power. For the next five years King would face political decisions that were more demanding and in many ways more important, but there was no further talk of retirement. He might be exhausted or frustrated at times, but he never questioned the importance of what he was doing. And King was still a decisive political opportunist. 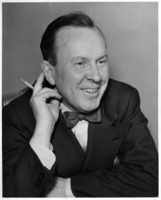 In 1940, when Hepburn and Conservative leader George Alexander Drew* combined in the Ontario legislature to condemn Ottawa’s war effort, he seized the occasion to call an election before any spring offensive in Europe and so renewed the Liberals’ federal majority for another five years. The Canada led by King would play a significant role in the war. Convoy duty by the Royal Canadian Navy had begun immediately, in September 1939, and in December the 1st Canadian Division of the army went overseas. Isolated after the fall of France in June 1940, Britain would depend on the industrial and military might of North America for its survival. In its darkest days, Canada was a major source of troops and supplies. The United States would provide a lend-lease arrangement for materials in 1941 and then become an active ally, but Canada, in proportion to its size, made a larger contribution. Industrial production expanded rapidly and the government’s generous financial arrangements made it possible for Britain to purchase Canadian food and munitions. The effort was remarkable by any standards. King’s role should not be exaggerated. The depression meant that Canada had land, resources, and workers that were underutilized and available for an initial restructuring of its economy. Canada also had the advantage of being close to Europe but far enough away not to risk invasion. With its close cultural and economic ties to Britain, it could have been a valuable ally under a number of leaders. King’s political talents and experience nonetheless gave him an influence that, directly or indirectly, would shape the wartime decisions of his government. There was nothing dramatic about his leadership. He produced no Churchillian phrases to rally Canadians and none of Roosevelt’s fireside chats to involve them in the issues of the day. Initially, through its focus on coastal defence, Canada was committed only to a qualified participation in the war. Canada still felt remote from Europe in geographic terms and it still harboured deep regional and cultural divisions. 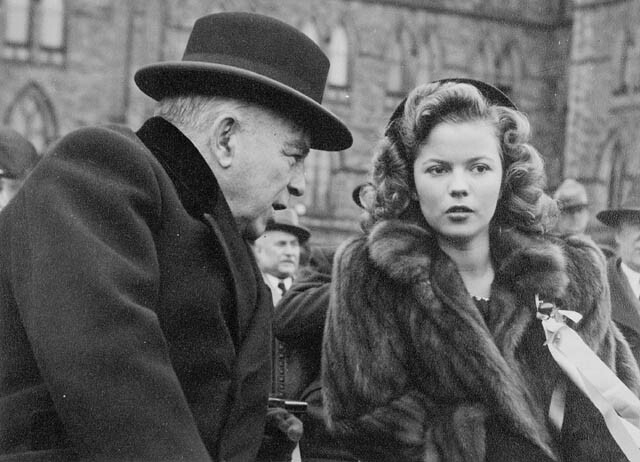 King’s political sensitivity, made acute by decades of experience, and his skills as a conciliator were well suited to this wartime Canada. 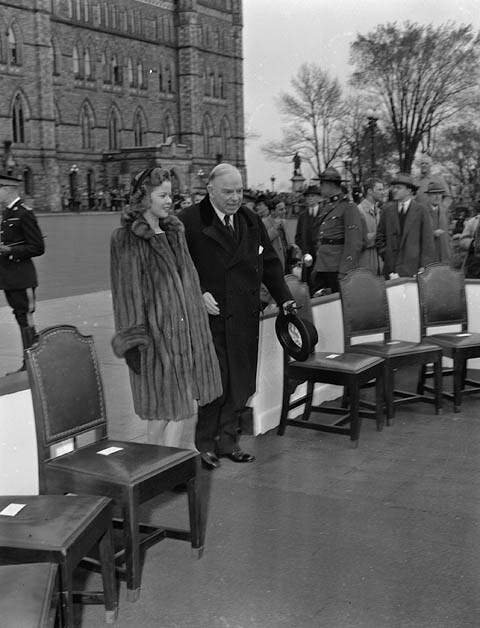 As minister of external affairs, King had direct responsibility for maintaining the delicate balance between Canadian autonomy and commitment as Britain’s ally. After war began, for example, Canada was a logical place to train aircrew; it was safe, had space for airfields and a tradition of flying, and could draw on the industrial and technical resources of North America. But how was a Commonwealth training plan to be organized and financed? King again insisted that any training be conducted under Canadian control, and here the British government was obliged to give way, though the standards and overall policy were set by the Royal Air Force. The Canadian government eventually took over most of the costs because Britain was short of dollars. The British Commonwealth Air Training Plan, under an agreement of 17 Dec. 1939 that initially involved Canada, Britain, Australia, and New Zealand, was an unquestioned success. Most of the Commonwealth’s aircrew learned their skills here, making the scheme one of Canada’s distinctive contributions to the war. 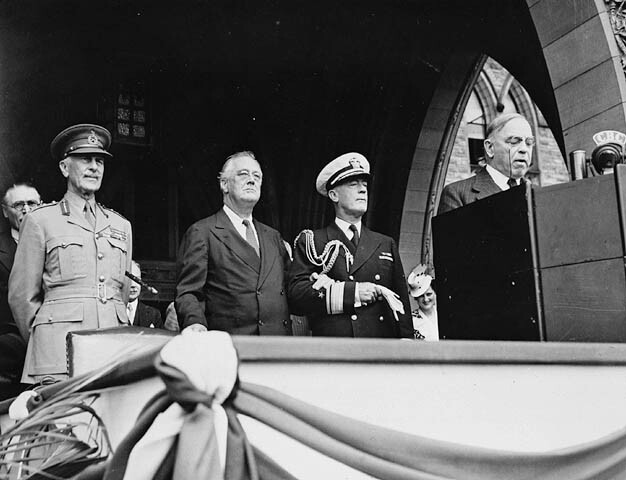 Canada’s relations with the United States were more anomalous, especially because the United States was not at war until the Japanese attack on Pearl Harbor in December 1941. 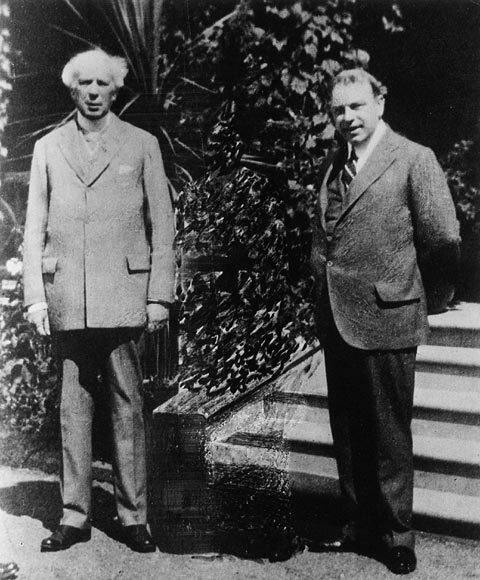 King’s personal relations with Roosevelt helped to circumvent some of the diplomatic barriers imposed by neutrality. In early September 1939, for instance, Canada was allowed to purchase American airplanes because King had reassured Roosevelt, in a telephone conversation, that Canada was not technically at war until parliament had approved an official declaration. After the fall of France in 1940 an invitation to King from Roosevelt led to the Ogdensburg Agreement for a joint board to study continental defence. 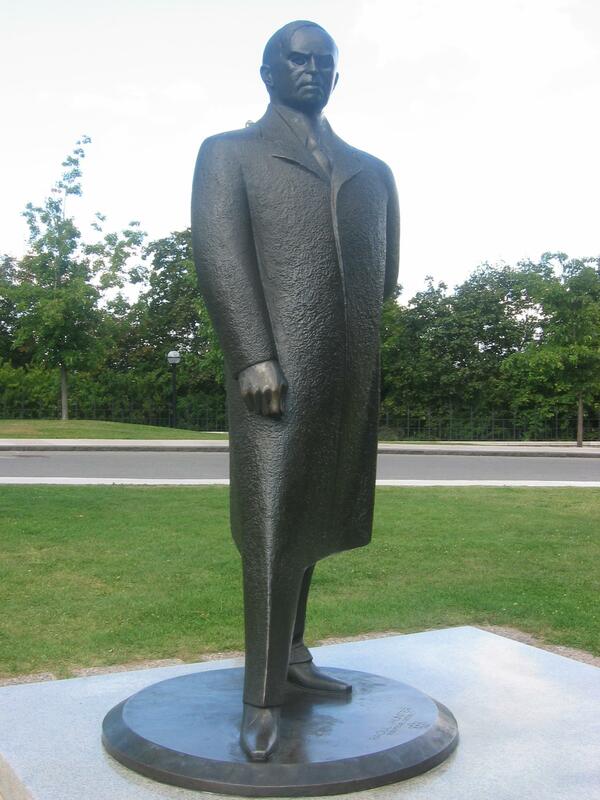 The Hyde Park Agreement in April 1941 was initiated by a telephone call from King. He explained that Canada was facing a financial crisis because it was supplying Britain on credit and so had no cash to pay for the American imports needed by Canadian manufacturers. Roosevelt agreed to ease the crisis by including, in the lend-lease agreement, exports to Canada that could be identified as components of Canada’s munitions production. At times during the first two years of the war King acted as an intermediary between the United States and Britain. When Roosevelt worried about the fate of the Royal Navy, if Britain was conquered, he asked an embarrassed King to urge British prime minister Winston Churchill to announce that it would seek refuge in North America. King complied. Churchill, for his part, asked him on occasion to use his influence with Roosevelt to try to increase American aid to a beleaguered Britain. After Pearl Harbor, Churchill and Roosevelt no longer needed an intermediary and King found himself excluded from most of the strategic planning for the war. Even at the Quebec conferences of August 1943 and September 1944, where King hosted the two leaders, he recognized that he was not expected to join in their discussions. 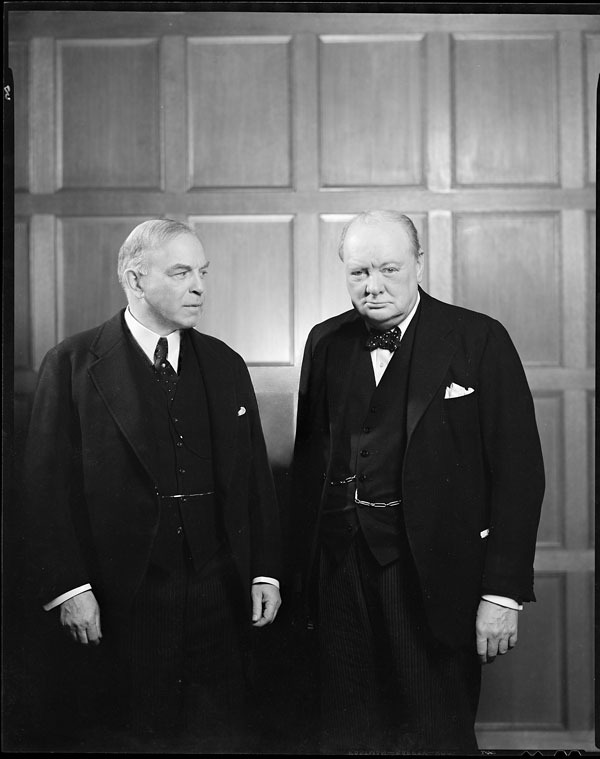 King’s personal contacts with Churchill and Roosevelt were nonetheless of some importance. The British and Americans were inclined to make decisions and to expect their smaller allies to accept them. Much of the planning for the production and distribution of war supplies was done by joint Anglo-American boards. The Canadian government regularly asked to be represented on boards that allocated supplies produced by Canada. Requests for representation on the Combined Food Board, to name one, were ignored. King eventually appealed directly to both Churchill and Roosevelt, and Canada was finally given a place. For other bodies, however, his appeals were not effective. His wartime leadership in domestic affairs is less easily assessed because, although he might question his ministers’ decisions, he rarely reversed them. Much therefore depended on his relations with his cabinet. In the late 1930s he had known that some of his ministers were weak or thinking of retirement, but he had hesitated to take action until the war provided the needed incentive to strengthen his government. 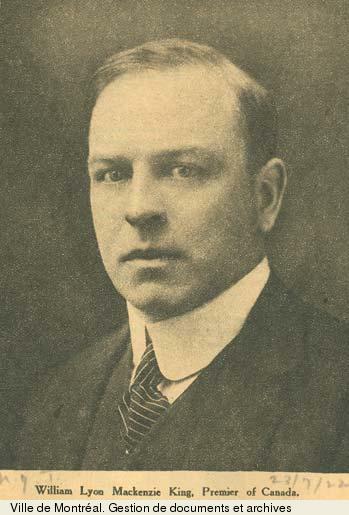 He lured James Layton Ralston, a prominent Nova Scotia Liberal, back into politics, first as minister of finance (to replace Dunning) and then as minister of national defence, where his presence and his concern for enlisted men, dating back to the Great War, were reassuring to Canadian servicemen. 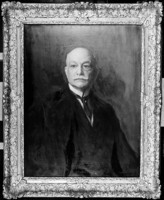 King’s choice for Ralston’s successor in finance was James Lorimer Ilsley*, who could be a stubborn colleague but whose integrity and determination to control expenditures shaped Canada’s wartime finances. 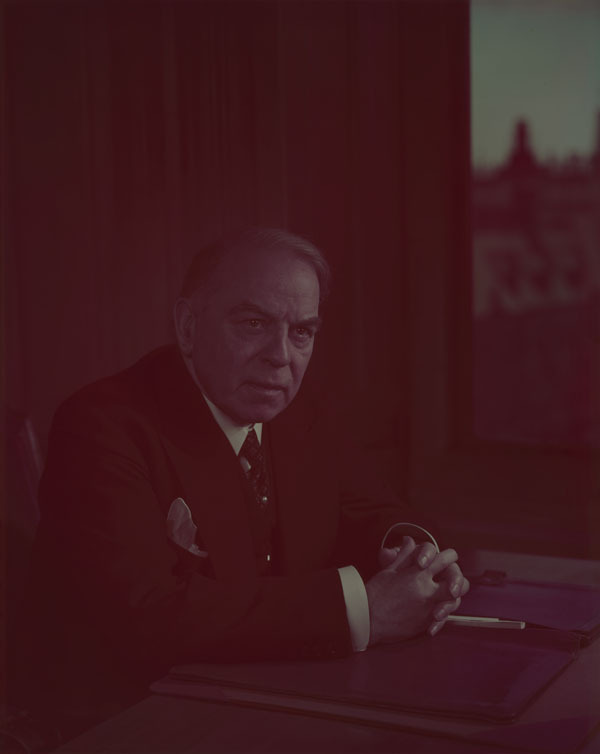 Moved from transport in 1940, C. D. Howe was the central figure in munitions and supply, where his contacts with Canadian businessmen and his aggressive reliance on tax incentives and public investment stimulated a dramatic expansion of production. 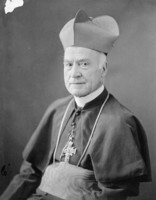 And when Ernest Lapointe died in 1941, King persuaded Louis-Stephen St-Laurent*, an eminent Quebec City lawyer, to become minister of justice and his new Quebec lieutenant. St-Laurent had no political experience but he did have sound judgement and a gentlemanly respect for his colleagues, even when he disagreed with them. He quickly emerged as the most influential minister in the government and King’s closest associate. These and the other members of the cabinet grew accustomed, under King’s leadership, to discuss issues openly and to take decisions collegially. As a wartime administration they earned a reputation for competence and efficiency. King, as primus inter pares, did more than choose his colleagues and chair their discussions. He constantly sought measures or half measures they could agree on. Occasionally, when he found himself in disagreement, he might give way or more rarely exercise an implicit veto. His interventions in financial decisions provide examples. The government and its financial advisers had agreed from the beginning to avoid inflation of the sort that had followed the first war by paying as much of the war costs as possible out of current taxes. One possibility was for the federal government to take over the personal and corporate income-tax fields from the provincial governments and raise the rates sharply. A conference in 1941 showed that the provincial premiers would not agree to a constitutional amendment to this effect. 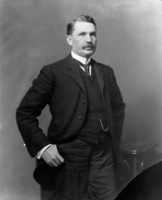 J. L. Ilsley therefore proposed that he should tell the premiers the federal government would invoke the War Measures Act to take over these tax sources, with compensation. King expressed his uneasiness about this authoritarian approach but agreed that the government had no option. The tax increases would be effective but inflation was still a threat, so Ilsley next proposed wage and price controls. Again King had reservations about such drastic intervention, but again he yielded. Later, when miners argued that their wages had been frozen at an unfairly low level and demanded wage increases in spite of the controls, King stepped in. Ilsley argued that concession would encourage other appeals, but King insisted that the program would not survive if it was too inflexible and eventually Ilsley gave way. King also intervened when Howe wanted anti-strike legislation to keep steelworkers on the job, producing munitions. King, recognizing that arbitrary measures would be self-defeating in the long run, insisted on the right of collective bargaining. These interventions were exceptional and were related to labour relations, where King considered himself an expert, but his interpositions do illustrate his formidable role in the government. King’s authority would be most seriously tested by the issue of conscription. He was determined that the split it had caused in 1917, in his party and in the country, would never happen again. From the beginning of World War II he had promised that only voluntary recruits would be sent overseas. The other party leaders had supported this policy in the election campaign of March 1940 but the fall of France a few months later posed a threat to Britain’s survival. Leading Conservatives now demanded conscription, arguing with some effect that it would be fairer and more efficient than voluntary enlistment. Few French Canadians, however, were impressed by this reasoning. 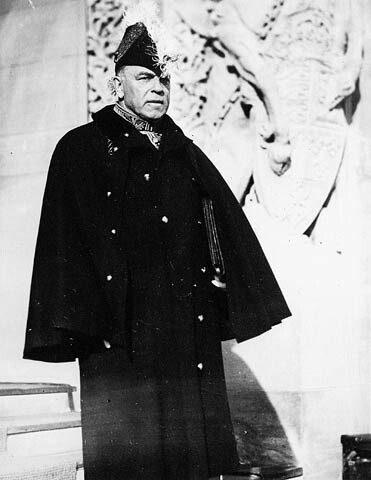 King resolved the controversy, for the moment, by passing the National Resources Mobilization Act, which imposed conscription only for the defence of Canadian territory. This act placated those who favoured conscription without alienating those who objected to compulsory service overseas. 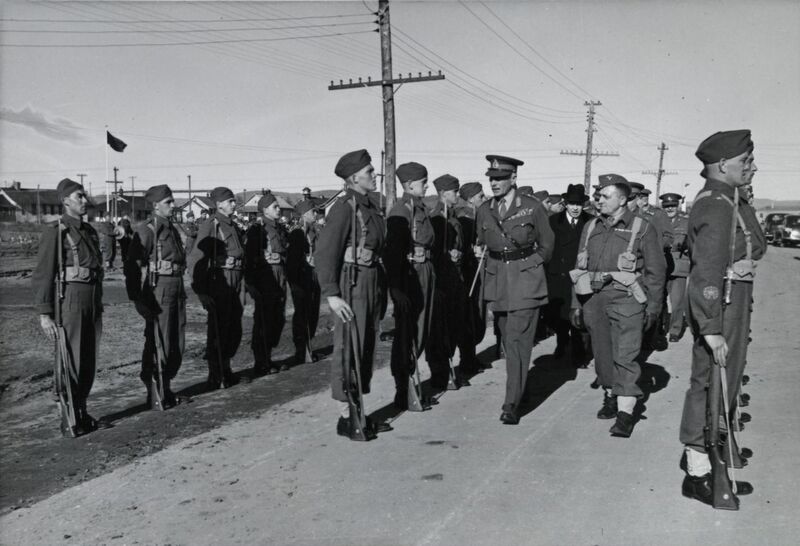 King did increase the size of Canada’s overseas contingent but only after his military advisers assured him that voluntary recruitment would provide the necessary strength. The next crisis came in 1942. Allied defeats in Europe and in the Pacific, including the grievous loss of two Canadian battalions in the fall of Hong Kong, had convinced many more Canadians that a full commitment to the war required conscription for overseas service. Predictably most French Canadians believed it would be a betrayal of King’s promise. He found a face-saving compromise. In January he announced a national referendum on releasing the government from its pledge. The outcome of the plebiscite, held on 27 April, was disturbing. Strong support in English Canada meant that a majority of Canadians voted yes but in Quebec over 70 per cent were opposed. On conscription Canada was a country of two distinct cultures. Nevertheless, King moved quickly to repeal, through Bill 80, the section of the NRMA that restricted conscription to home defence. The resulting policy, King explained in the commons on 10 June, “may be described as not necessarily conscription but conscription if necessary.” The bill passed third reading in July. Remarkably, most French Canadians accepted in 1944 what they had bitterly opposed two years before. What had happened? King deserves much of the credit. It was clear that he had opposed conscription for as long as he dared. Now it was easier to believe that conscription for overseas service was at least politically necessary. He had won the confidence of St-Laurent and most of his French Canadian colleagues and this support helped reassure Quebec. Though French Canadians were not enthusiastic, most at least conceded that King was more sensitive to their point of view than the leaders of the other federal parties. It had been a close thing, but King had held the party and the country together. The end of the war in Europe in May 1945 and in the Pacific in August brought new concerns. King and his government had already begun to plan for the post-war world. Planning was needed because the closure of munitions plants and the return of almost a million members of the armed services to civilian life would be enormously disruptive and because memories of the depression were still vivid. The government was credited with efficient administration during the war and many Canadians looked to it to provide economic security during the transition to a peacetime economy. King’s response was an accelerated shift to the left. 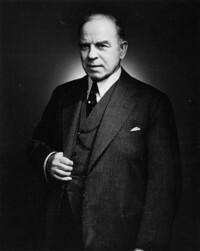 In a reversal of his court reference of 1935, in 1940 the government, with provincial approval, had introduced unemployment insurance, a move strenuously opposed by Ralston on grounds of cost in wartime. In 1945 the government’s financial advisers, converts to Keynesian policies, favoured increased public expenditures to create jobs and recommended family allowances and other social measures to boost consumer demand. King had misgivings about an expanded role – he still felt uneasy about government deficits – but he was sure these measures were consistent with his concern for the less fortunate. There were partisan motives too, although the self-righteous King would never have admitted it. The political pressure on the Liberal Party to compete with the CCF for votes could not be ignored. The prime minister might worry about an interventionist government encroaching on individual liberties but a Liberal government was clearly a lesser evil than a coercive socialist one. 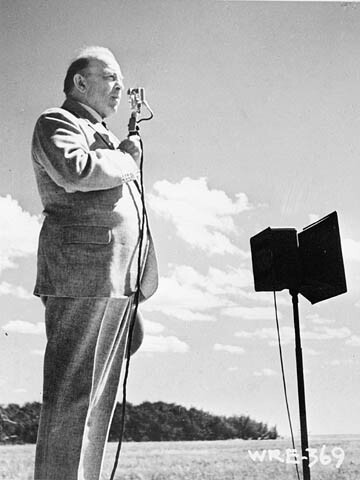 King introduced family allowances and for the election of June 1945 he campaigned on a broad program of social security. His government was handicapped by the legacy of conscription, which for different reasons had been unpopular in many parts of the country. The social program, however, was enough to redress the electoral balance and produce a narrow Liberal victory. Defeated in Prince Albert, King was returned in a by-election in Glengarry, Ont., in August. King did not adapt easily to the post-war world. He had attended the founding conference of the United Nations at San Francisco in April–June 1945 but played only a minor role. He realistically conceded that the major powers would dominate the UN although he did argue for a “functional principle” that would give such middle powers as Canada an influence based on their contributions to the settlement of disputes. Later that year he had to face the implications of a divided world more directly when Igor Sergeievich Gouzenko, a cipher clerk in the Soviet embassy in Ottawa, revealed Soviet spying in Canada. 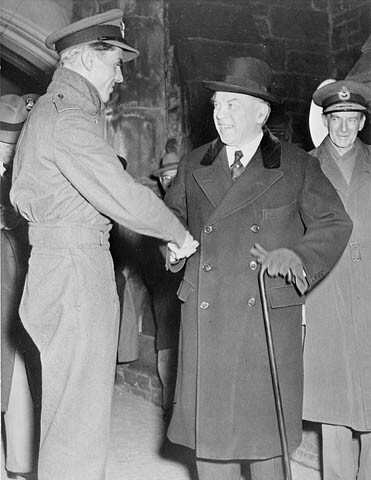 King was too realistic to believe that Canada could isolate itself from the Cold War, but he continued to be ill at ease with the demands made on Canada for the defence of North America and western Europe. He was also dubious about the international commitments favoured by Canadian diplomats; foreign entanglements would limit Canadian autonomy. Even closer relations with the United States left King concerned at the risk of falling into a new imperial orbit. Feeling overwhelmed with external affairs, in September 1946 he transferred the portfolio to Louis St-Laurent. King was no more at ease in domestic politics. He admitted the need for fiscal planning and therefore the need for the federal government to retain jurisdiction over income and corporate taxes. He worried, however, about a system in which provincial governments depended heavily on federal subsidies or, as King saw it, spent money that Ottawa had collected. His skills as a conciliator were still valuable but policy initiatives came from his ministers and, more commonly, from the bureaucracy. Fortunately the expected post-war depression never arrived; the pent-up demands for housing and consumer goods facilitated a quick transition to a peacetime economy and full employment. The burden of politics affected King’s health. Tired out, he told St-Laurent in May 1948 that he could not face another campaign. He resigned as party leader in August and as prime minister on 15 November, to be succeeded by St-Laurent. King had planned to write his memoirs but he found it exhausting to recall the stresses of his political career. His papers were still being organized when he died at Kingsmere on 22 July 1950; he was buried in the family plot at Mount Pleasant Cemetery in Toronto. The Canada of that year bore little resemblance to the Canada of 1919, when King had started out as Liberal leader. It had become prosperous and united, proud of its domestic stability and leadership in international affairs. King’s political direction had facilitated Canada’s development by avoiding or minimizing confrontations and by providing political steadiness in tumultuous times. This was no mean achievement. 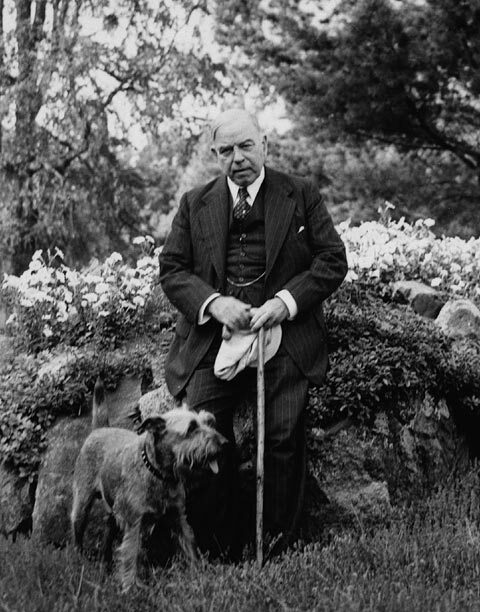 W. L. Mackenzie King was essentially a party leader. He operated through cabinet and caucus, relying on his political judgement and his skills as a conciliator to shape policy. He provided national leadership by creating a Liberal Party that reflected the diverse regional, economic, and ethnic interests of the country. His modus operandi meant choosing colleagues who would represent and defend these interests while accepting collegial compromises. If some groups or regions were not adequately represented within the party, it was up to King to ensure that their interests were not overlooked. The respect for consensus required patience and produced policies that were cautious and incremental. 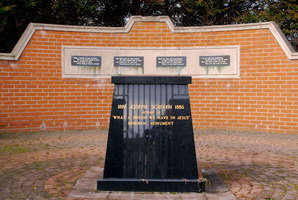 King’s form of leadership also tended to ignore grievances which had no effective political podiums – he paid little attention to the plight of aboriginals or the rights of women because in his day these groups posed no threat to the party. More positively, if King’s approach meant that Liberal policies might not be popular, they were at least likely to be acceptable in all parts of the country. King was not a dynamic figure but he did have the qualities needed for this form of leadership. His liberalism, his political sensitivity, his skills as a conciliator, and his driving ambition for office had kept the party and country united during three decades of dramatic challenges. It was a credit to his leadership that, even after his retirement, his party, led by former colleagues, continued in office for almost nine more years. 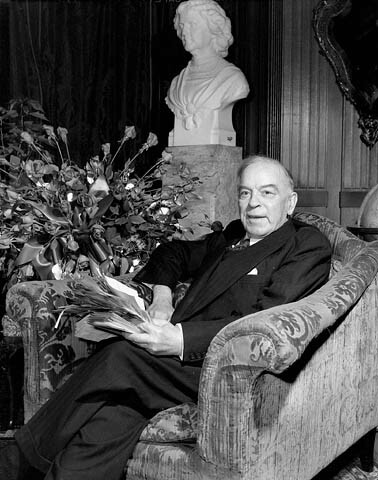 G. F. Henderson, W. L. Mackenzie King: a bibliography and research guide (Toronto, 1998), provides comprehensive information on archival and published sources by and about King. The King papers, MG 26, J, at Library and Arch. Canada (Ottawa), are remarkably complete. They include King’s diaries which are of special interest because they constitute a detailed guide to his daily activities and his personality. J. W. Pickersgill and D. F. Forster, The Mackenzie King record (4v., Toronto, 1960-70), is an edited version of the wartime and post-war diaries. The first volume was produced by Pickersgill alone. In 2003 Library and Arch. Canada published a digitized version of the diaries on its website. King’s official biography has been published as R. MacG. 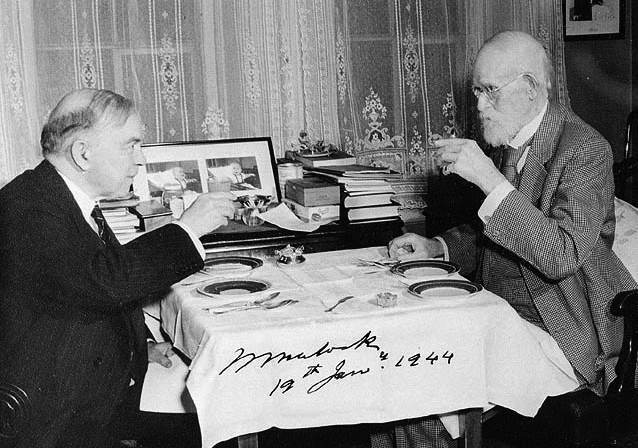 Dawson and H. B. Neatby, William Lyon Mackenzie King: a political biography (3v., Toronto, 1958-76). Dawson wrote the first volume, 1874-1923, and Neatby wrote volumes two and three, 1924-1932, The lonely heights (Toronto, 1963) and 1932-1939, The prism of unity (Toronto and Buffalo, N.Y., 1976). J. L. Granatstein’s Canada’s war: the politics of the Mackenzie King government, 1939-1945 (Toronto, 1975) furnishes a narrative for the war years. Michael Bliss, Right honourable men: the descent of Canadian politics from Macdonald to Mulroney (Toronto, 1994), offers a more recent assessment of King as a political leader. Other publications deal with specific aspects of his life. Charlotte Gray, Mrs. King: the life and times of Isabel Mackenzie King (Toronto, 1997), is a perceptive examination of his mother and their relationship. 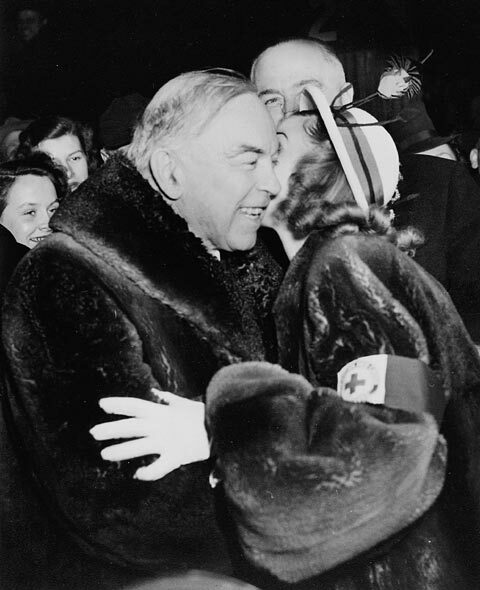 C. P. Stacey, A very double life: the private world of Mackenzie King (Toronto, 1976), gives a detailed but tendentious account of King’s relations with women. His career as an industrial consultant is analysed in Paul Craven, “An impartial umpire”: industrial relations and the Canadian state, 1900-1911 (Toronto, 1980), and in F. A. McGregor, The fall & rise of Mackenzie King: 1911-1919 (Toronto, 1962). C. P. Stacey, Arms, men and governments: the war policies of Canada, 1939-1945 (Ottawa, 1970), covers King’s wartime administration. H. Blair Neatby, “KING, WILLIAM LYON MACKENZIE,” in Dictionary of Canadian Biography, vol. 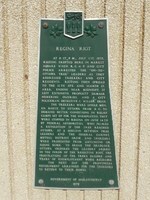 17, University of Toronto/Université Laval, 2003–, accessed April 24, 2019, http://www.biographi.ca/en/bio/king_william_lyon_mackenzie_17E.html.